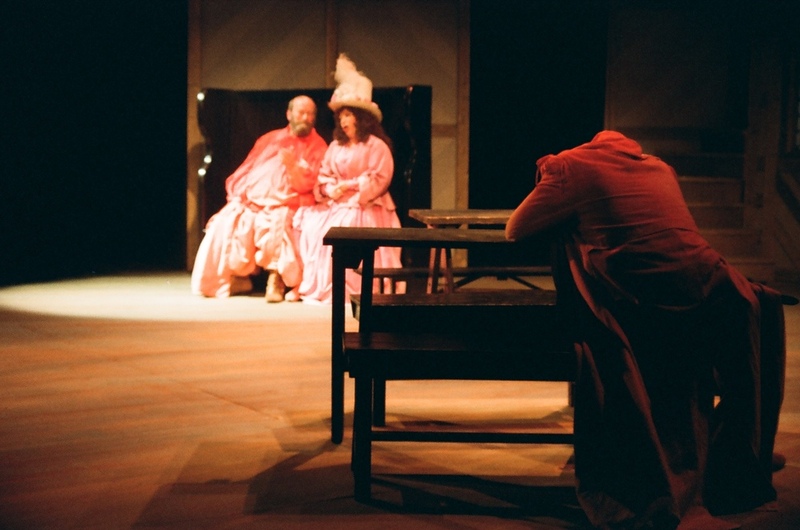 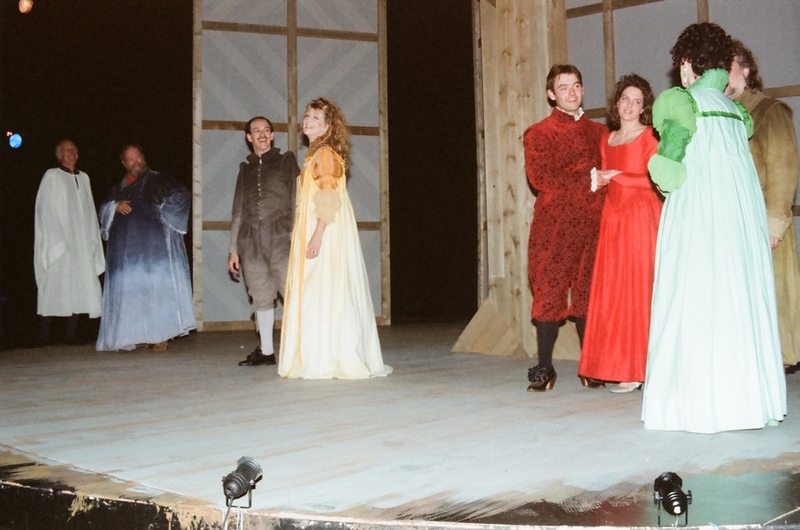 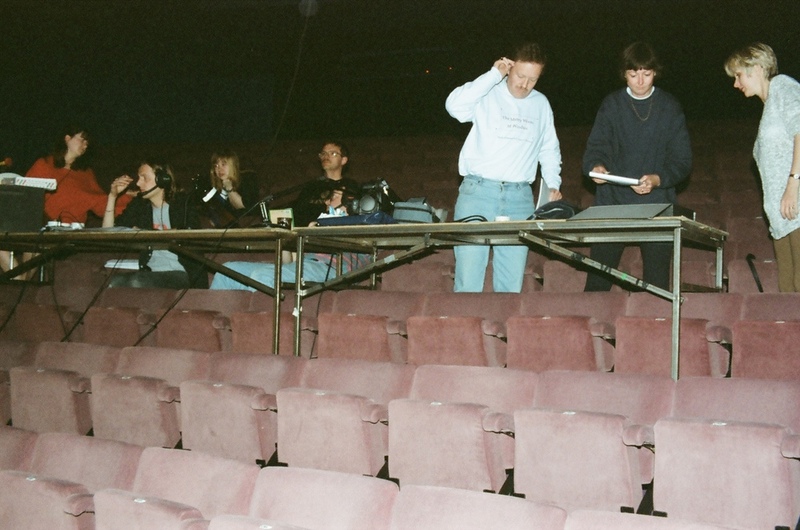 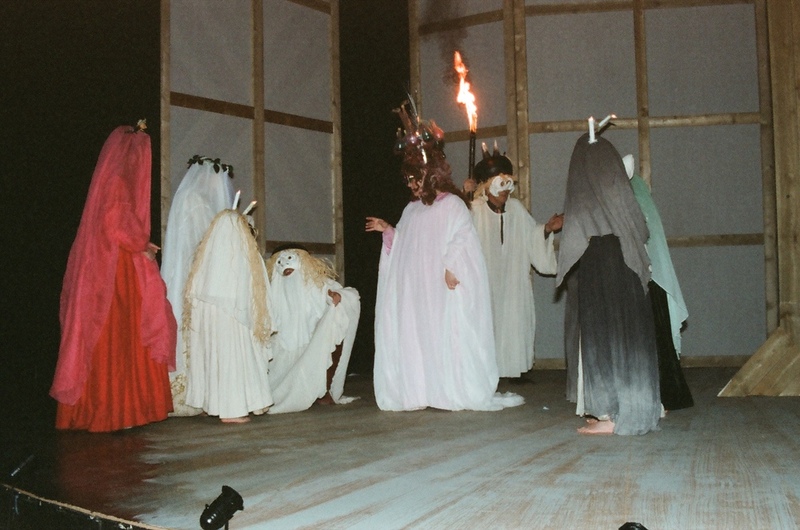 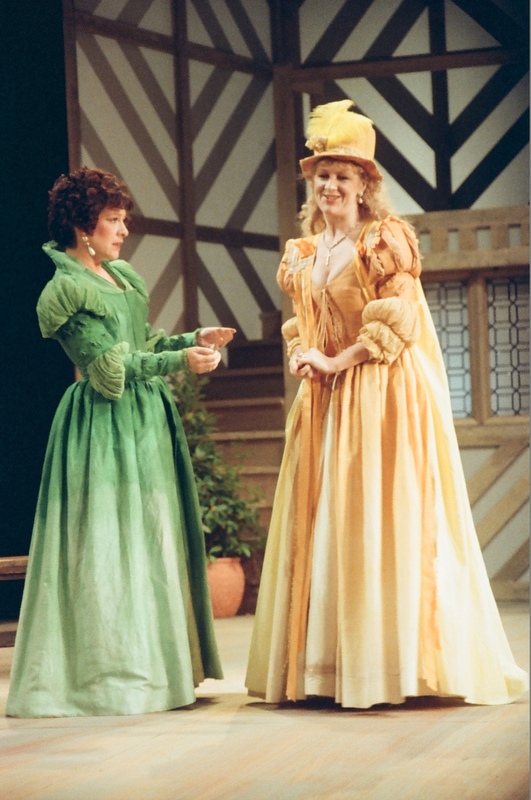 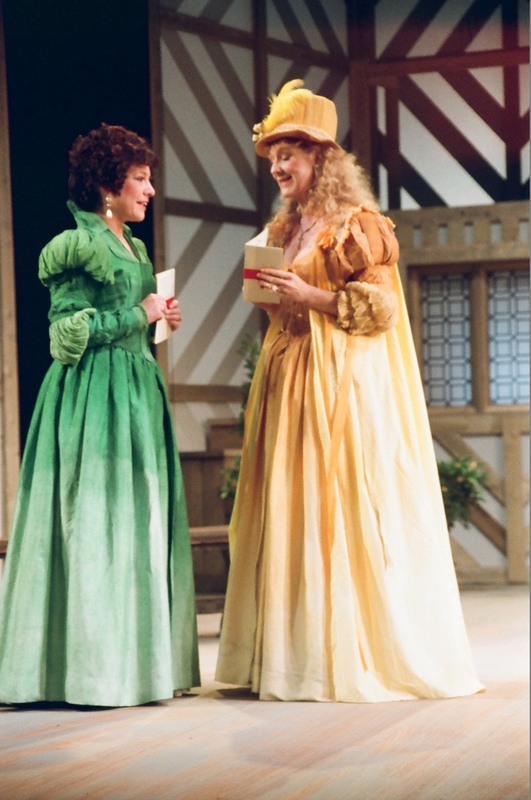 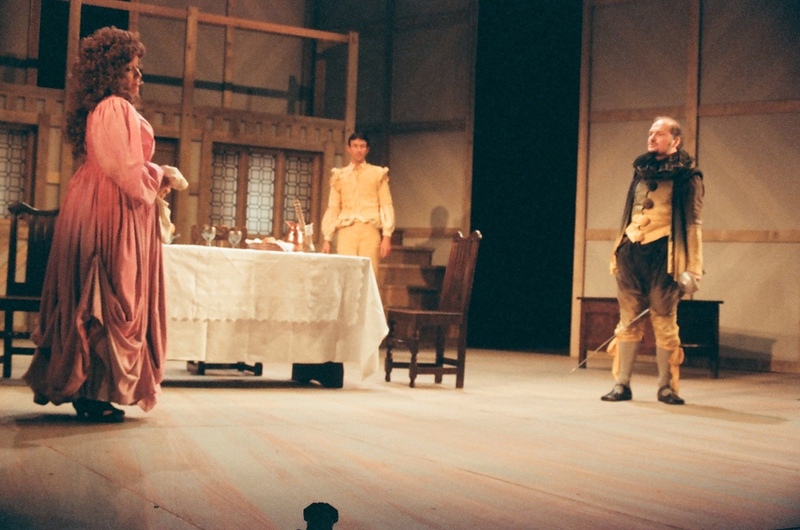 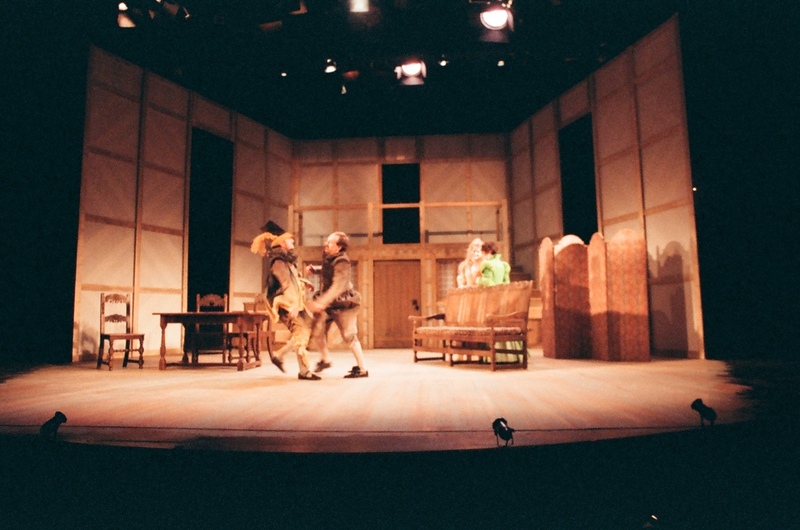 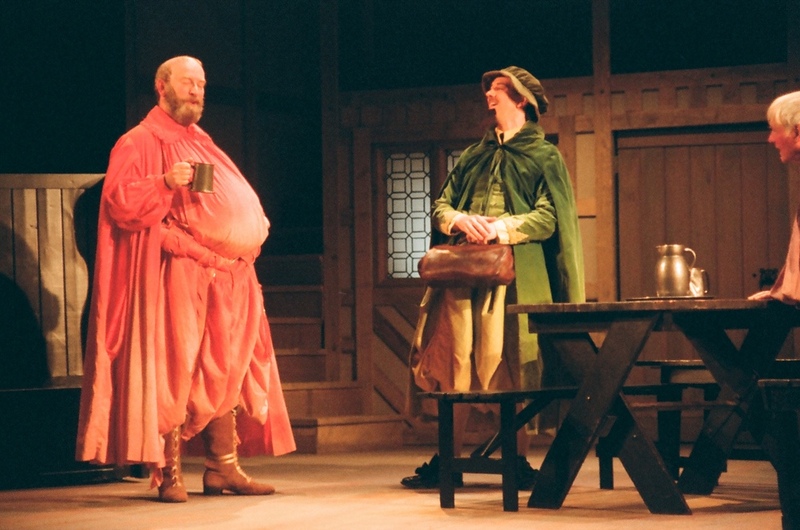 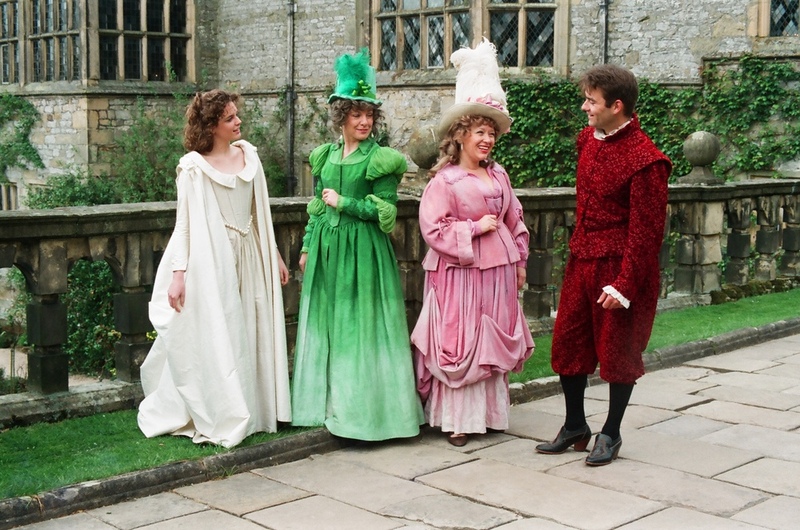 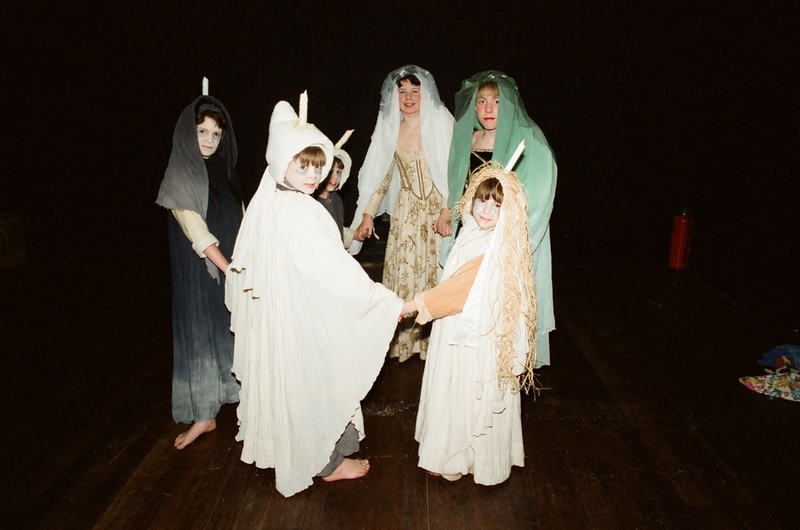 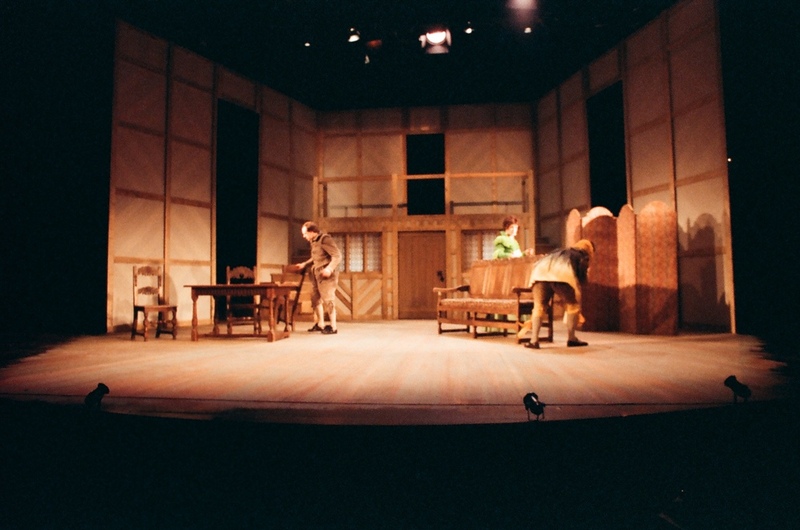 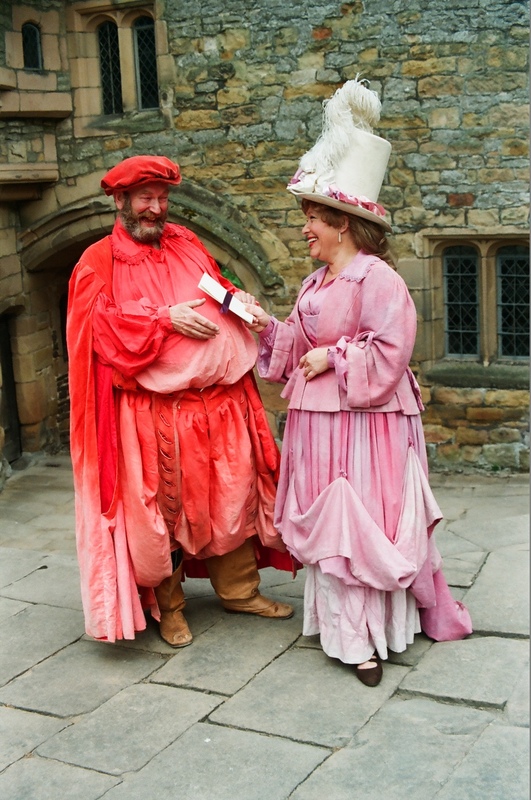 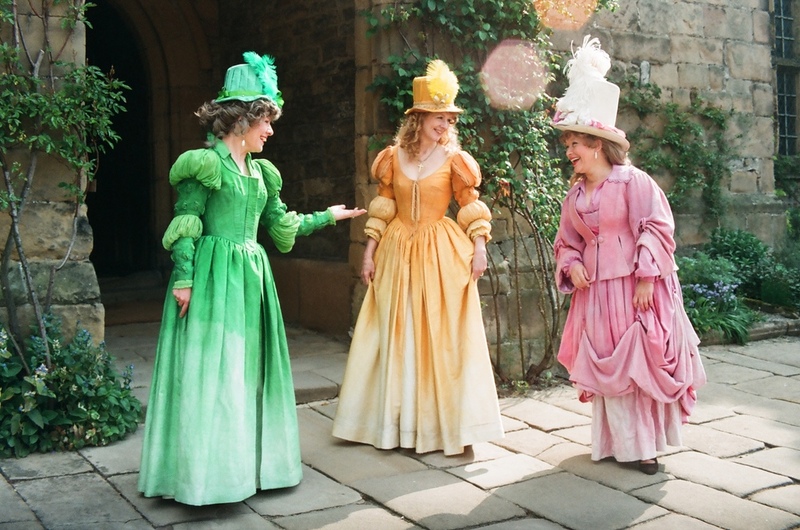 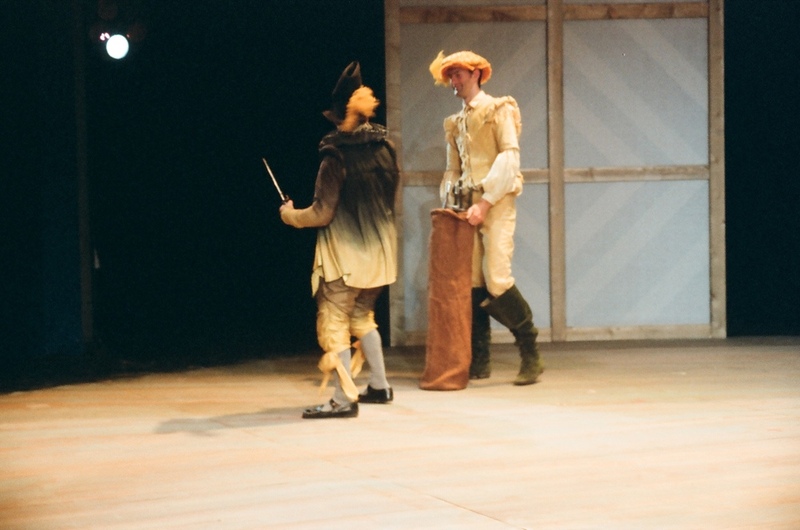 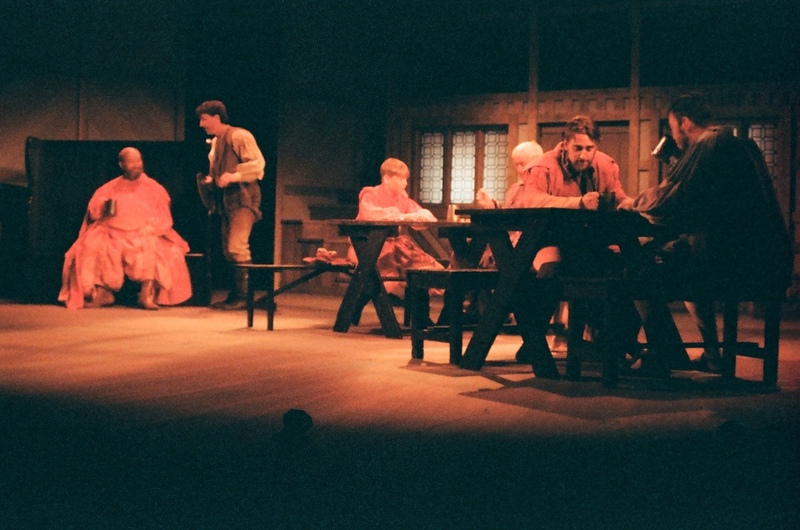 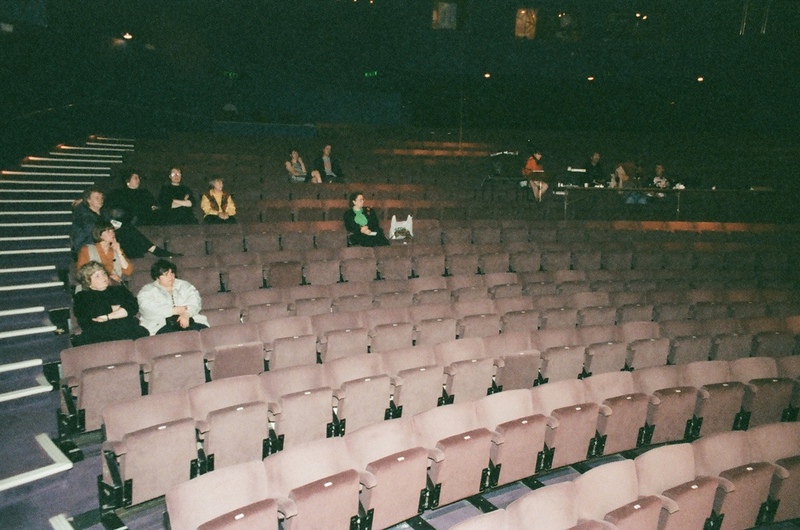 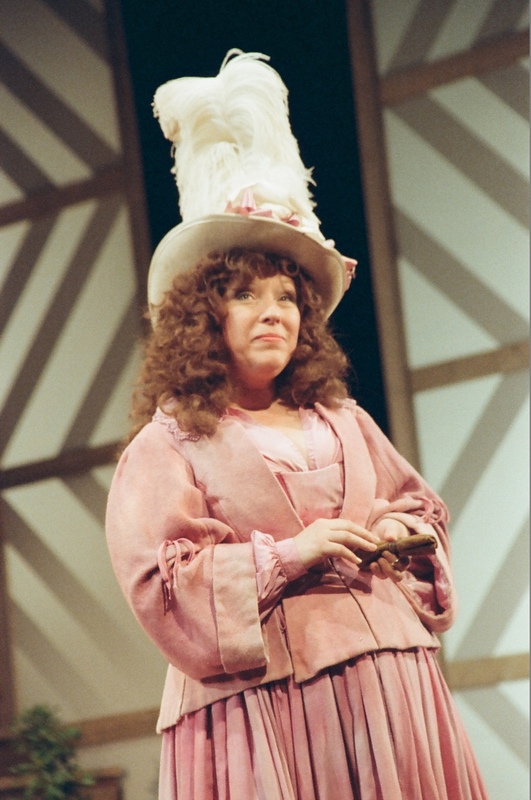 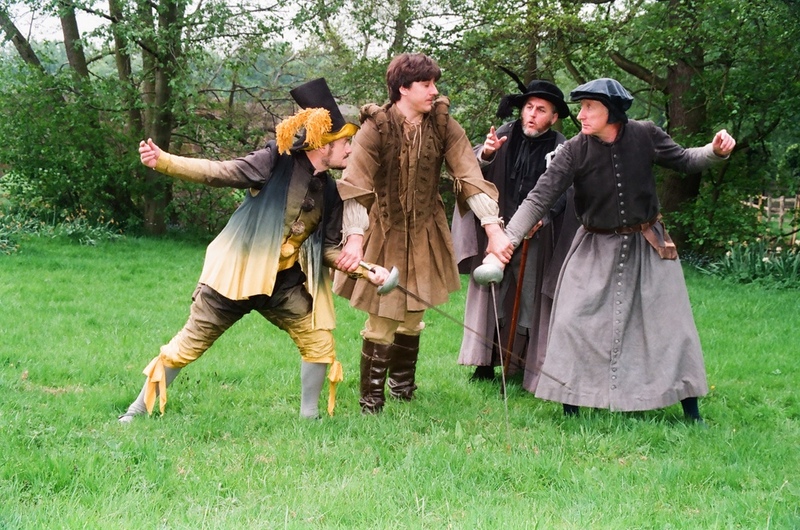 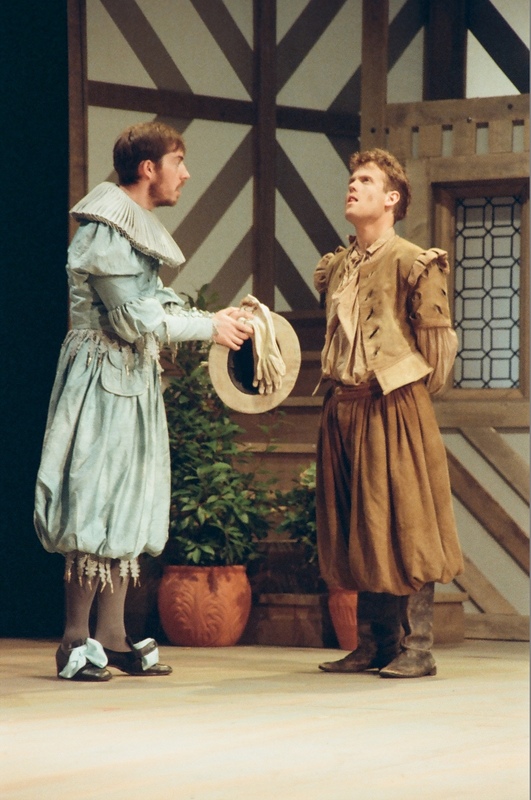 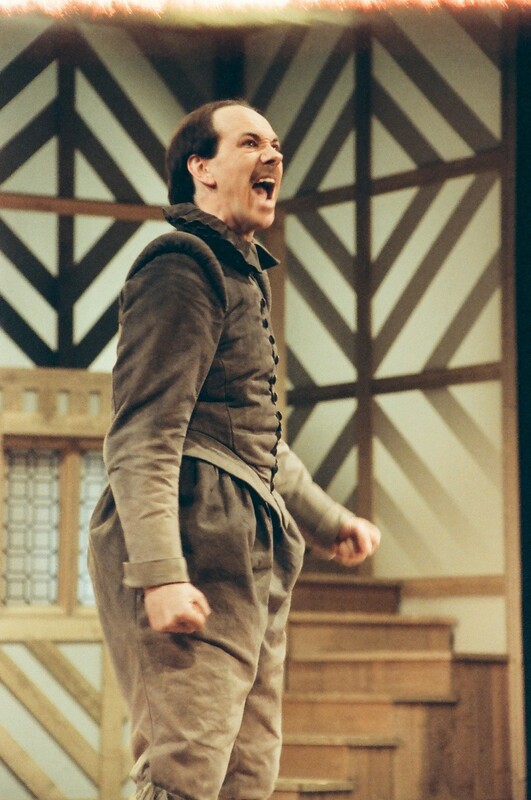 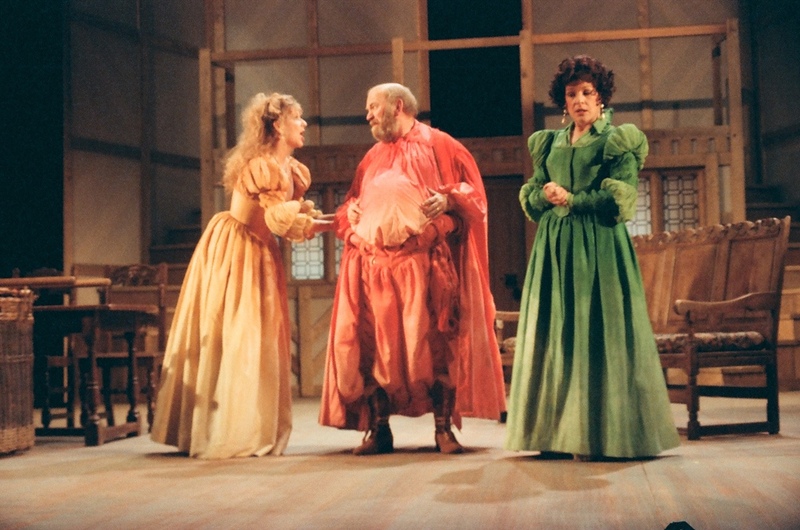 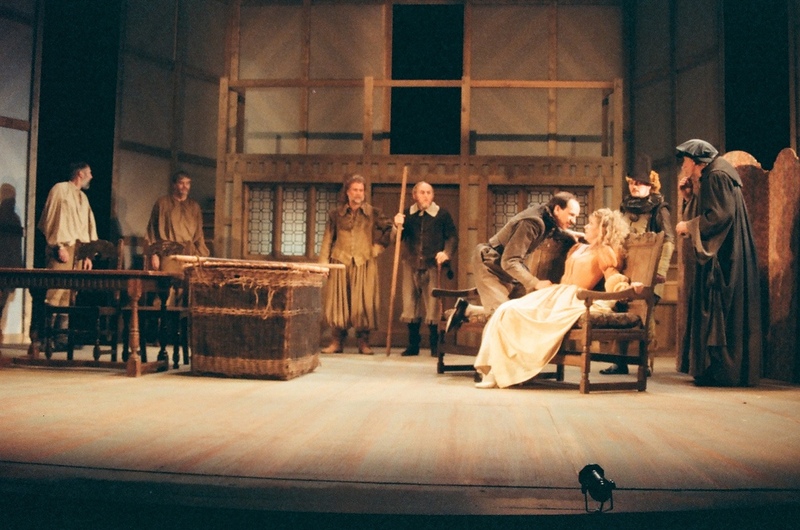 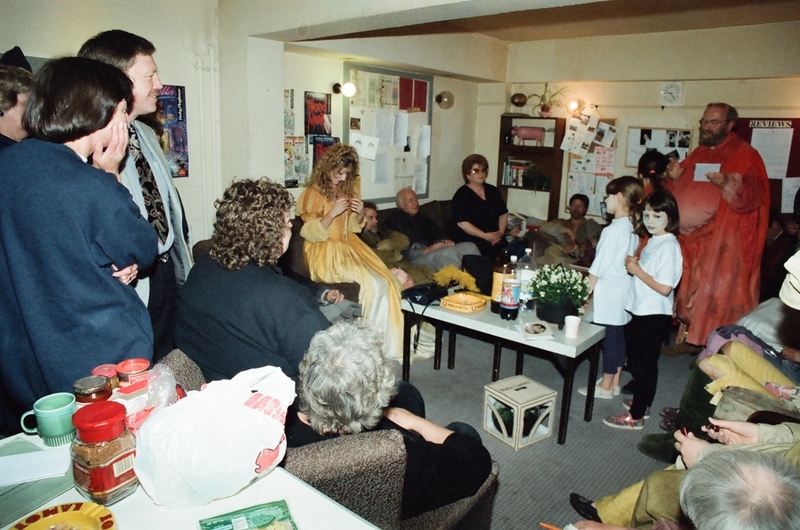 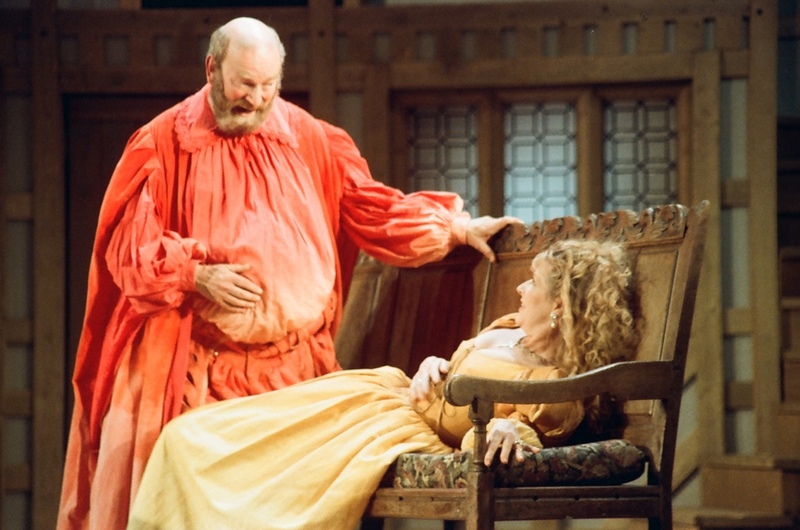 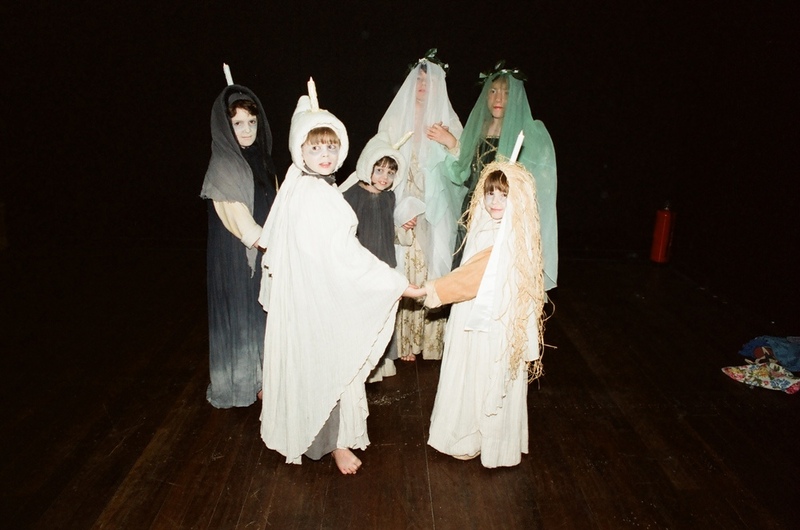 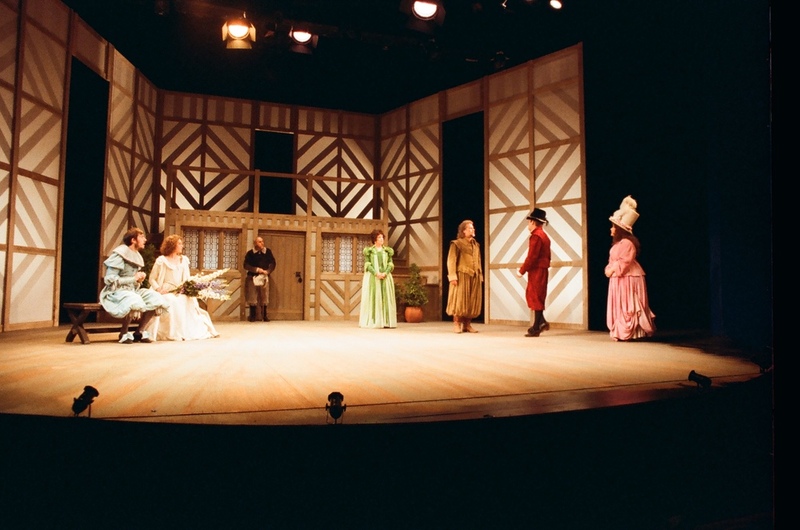 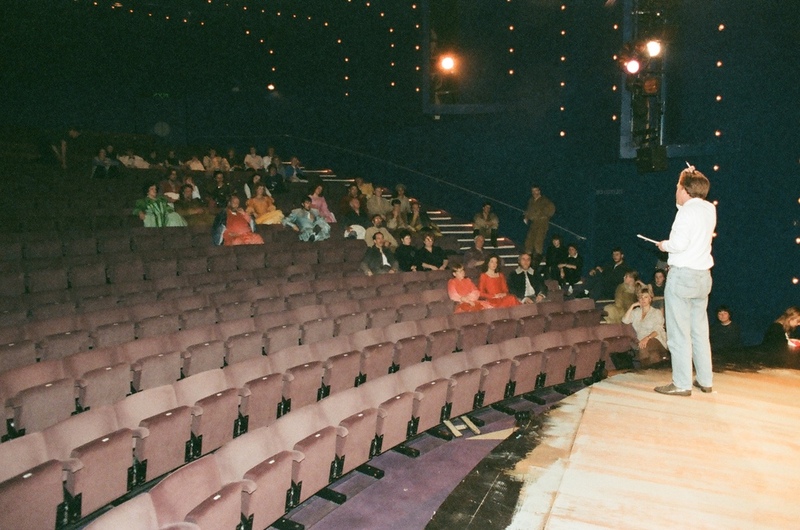 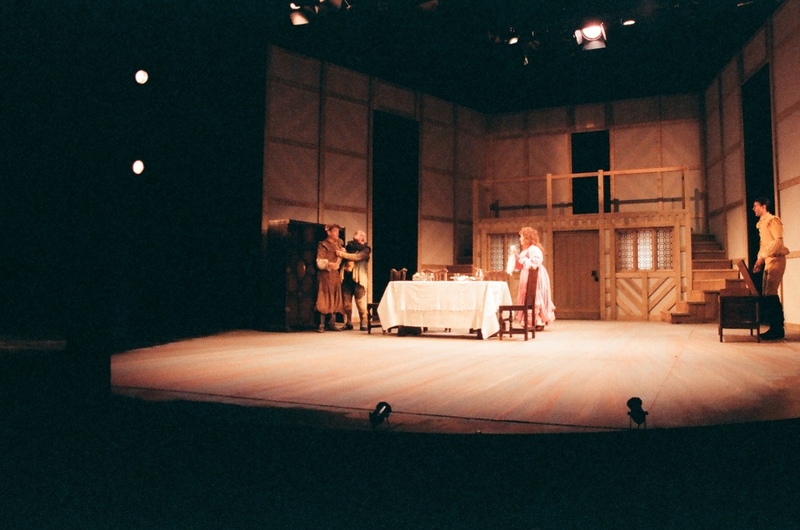 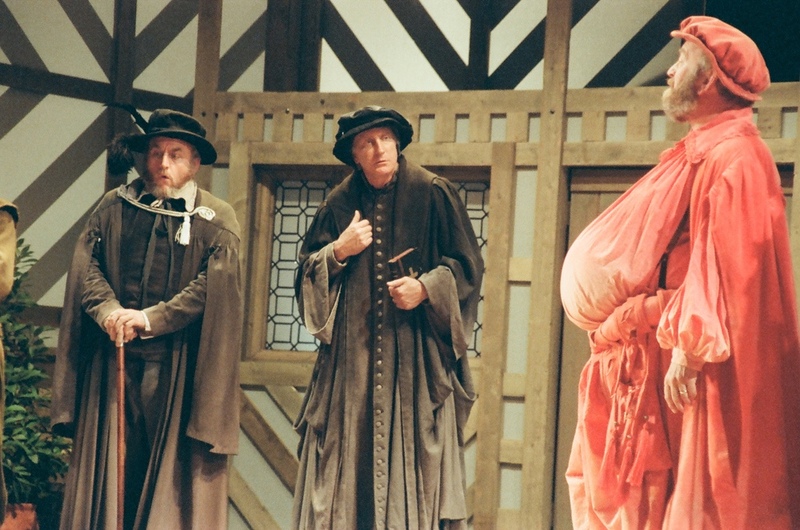 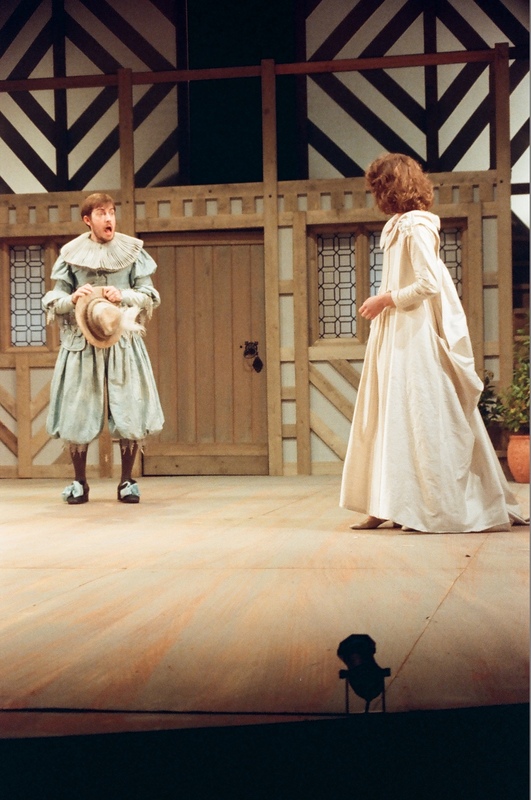 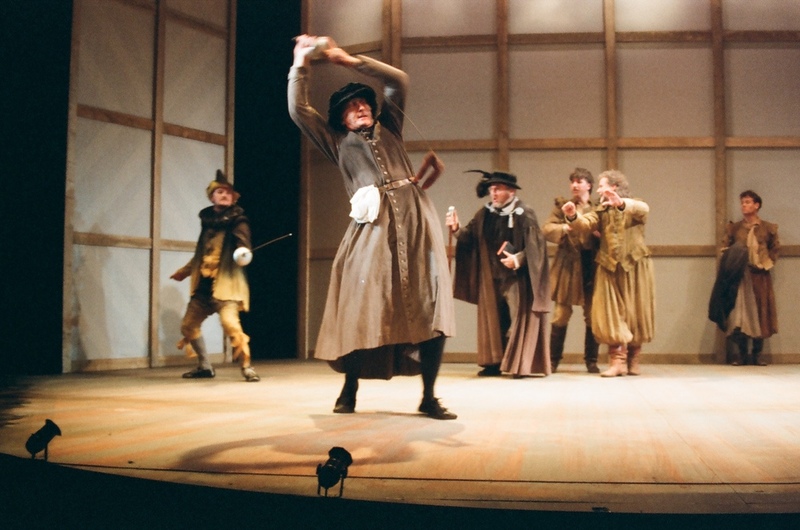 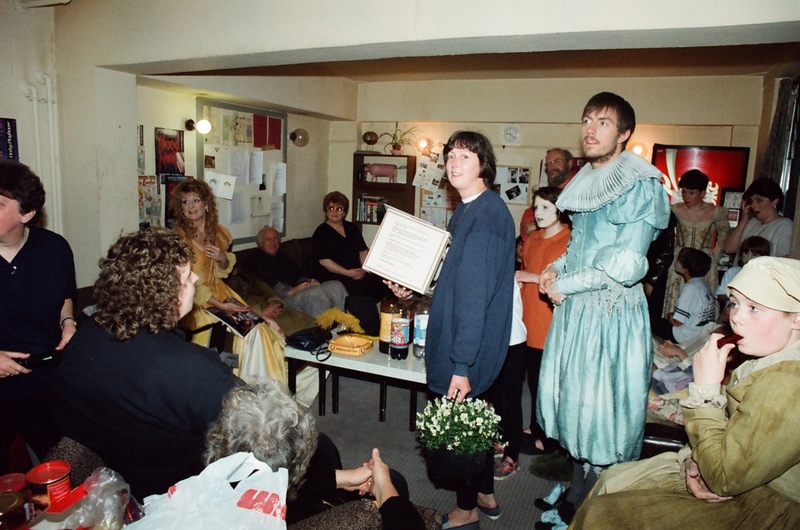 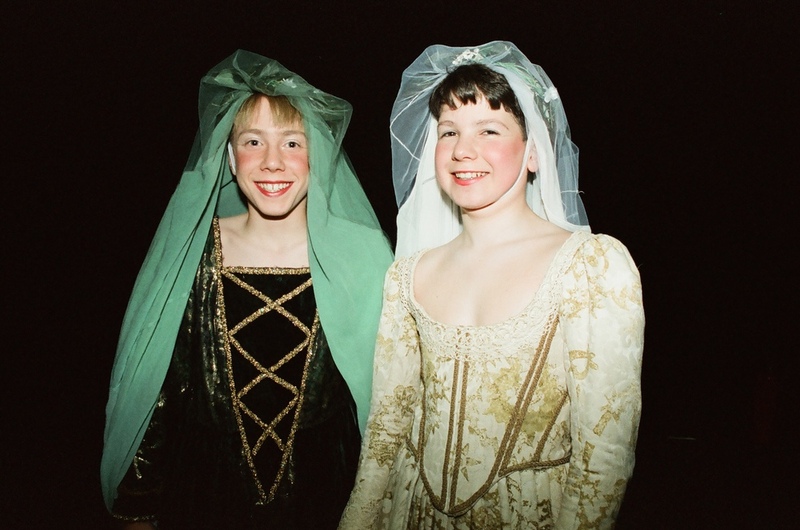 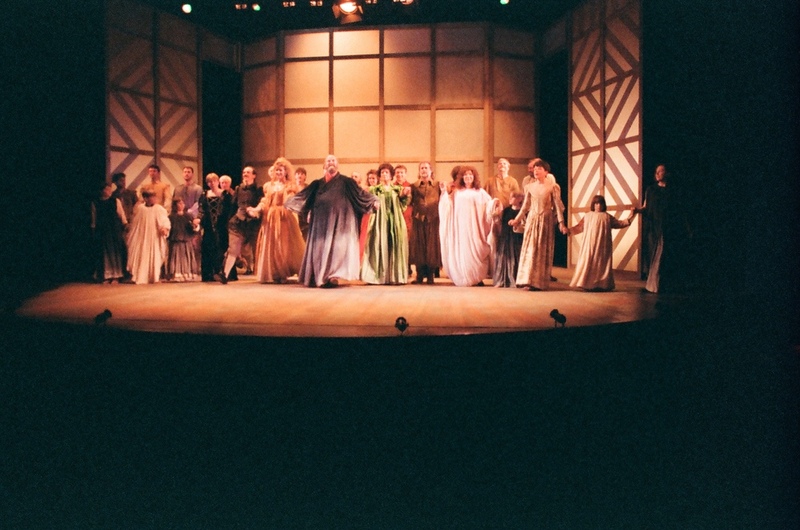 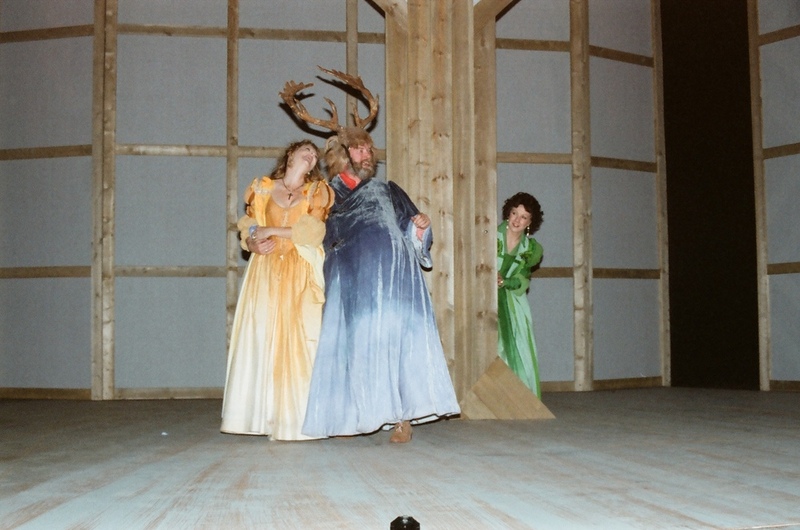 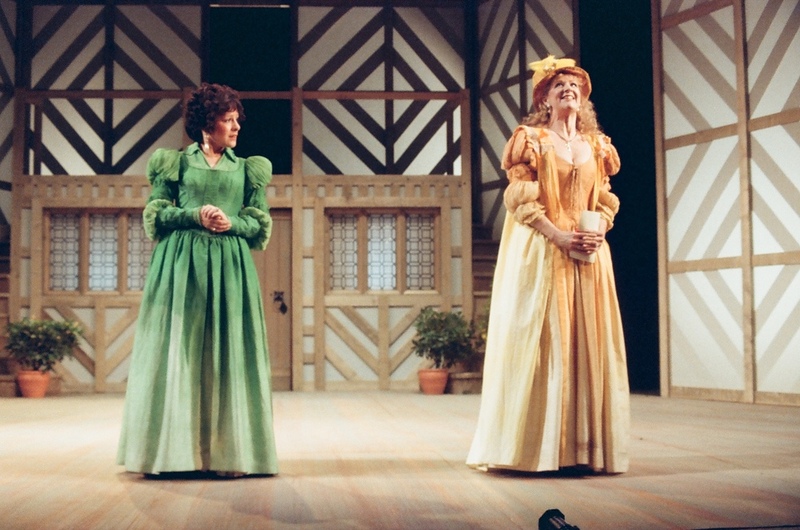 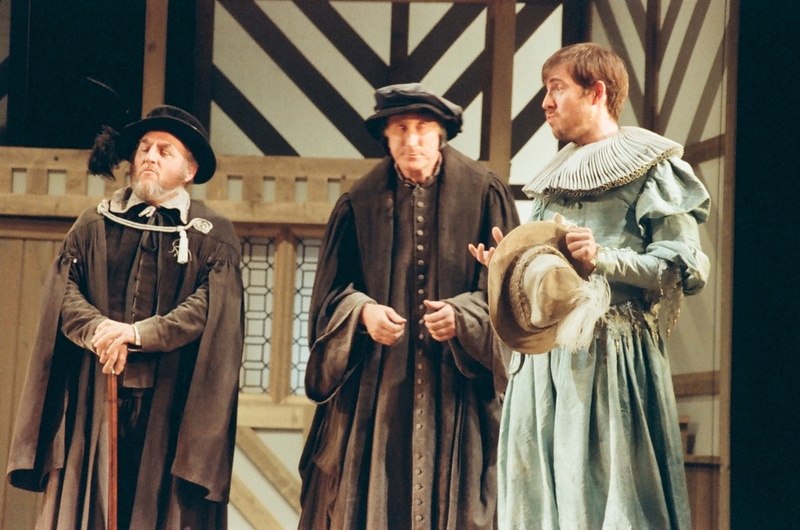 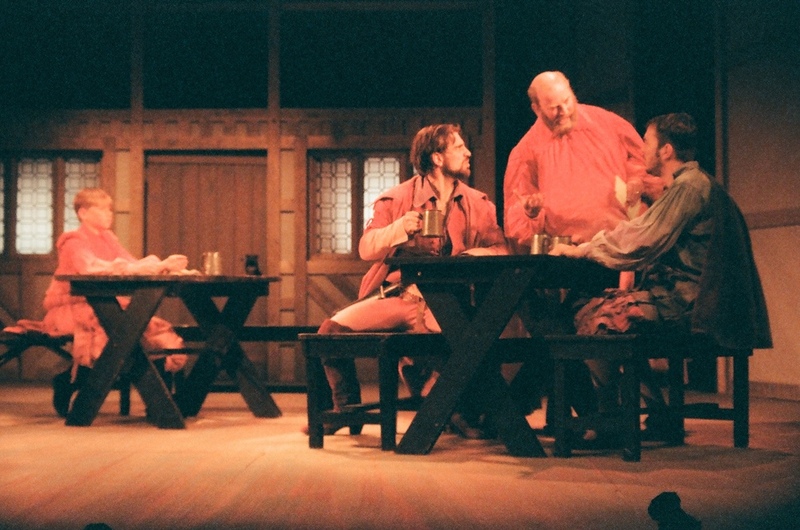 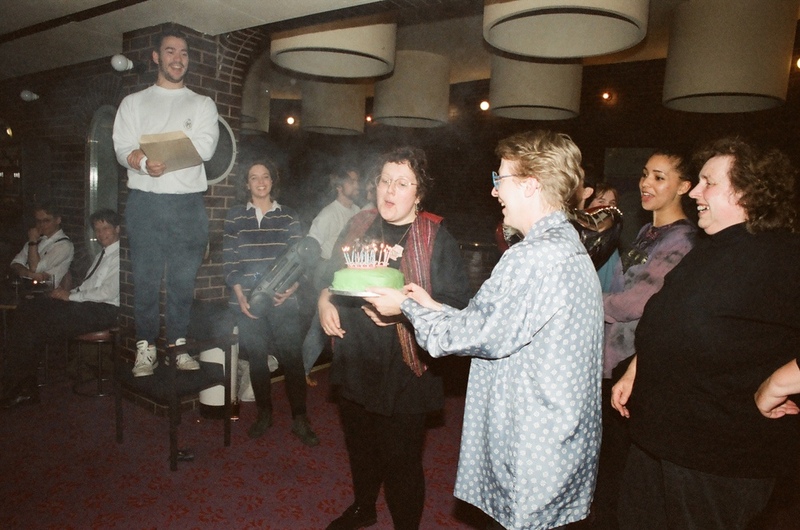 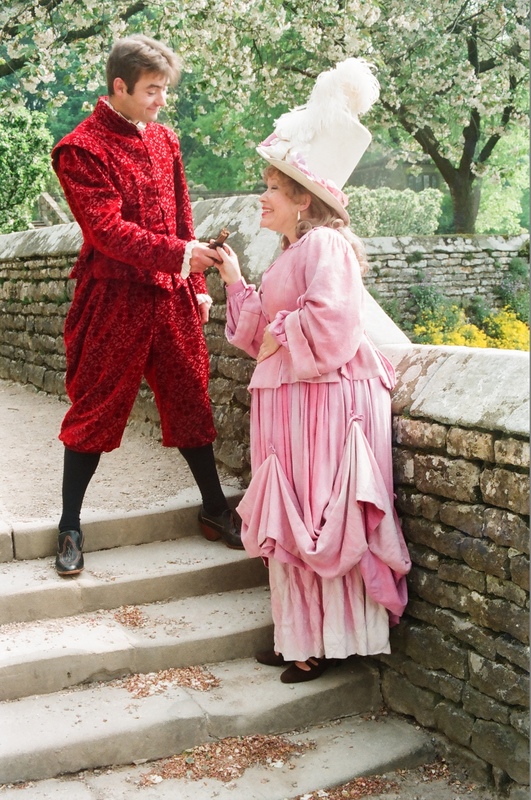 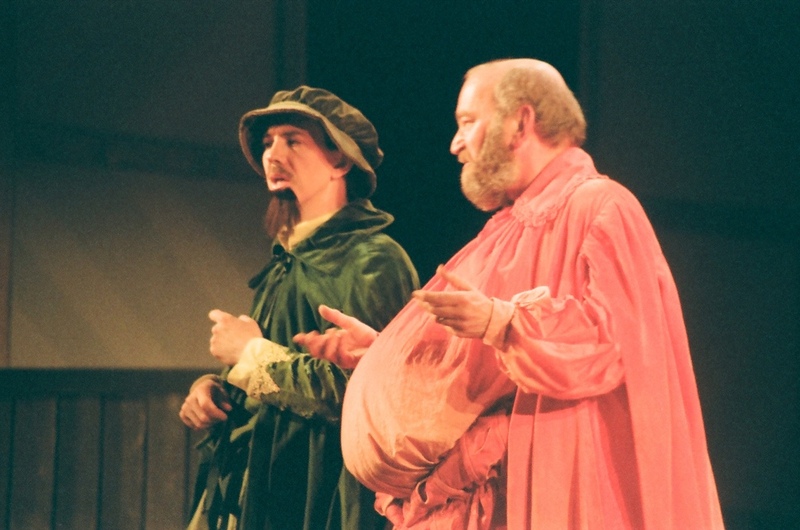 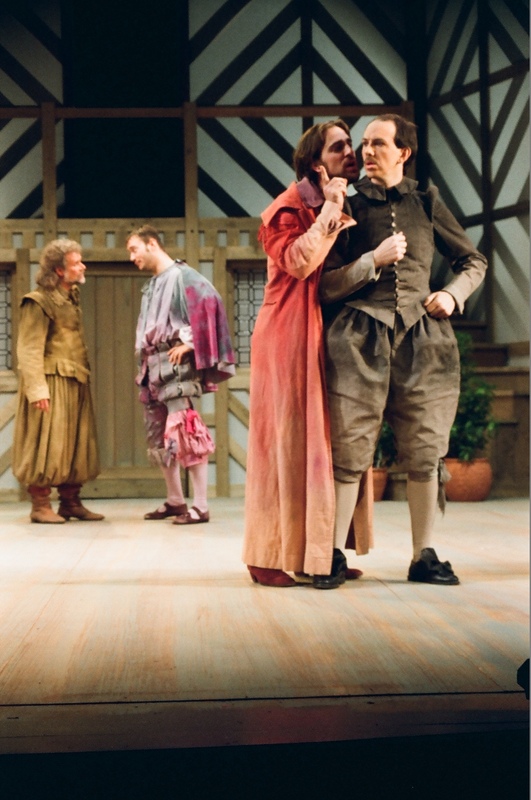 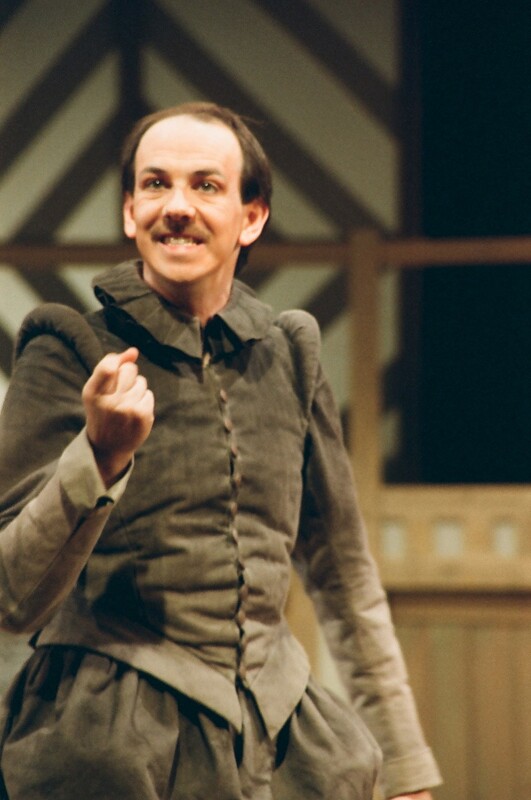 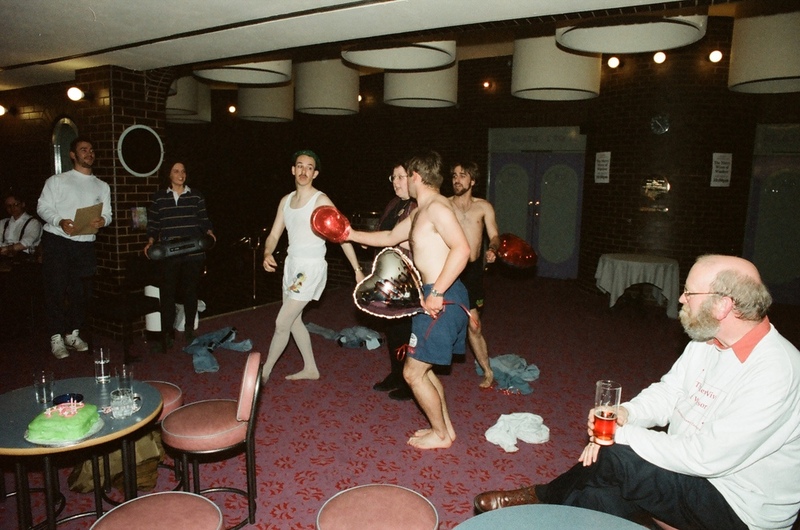 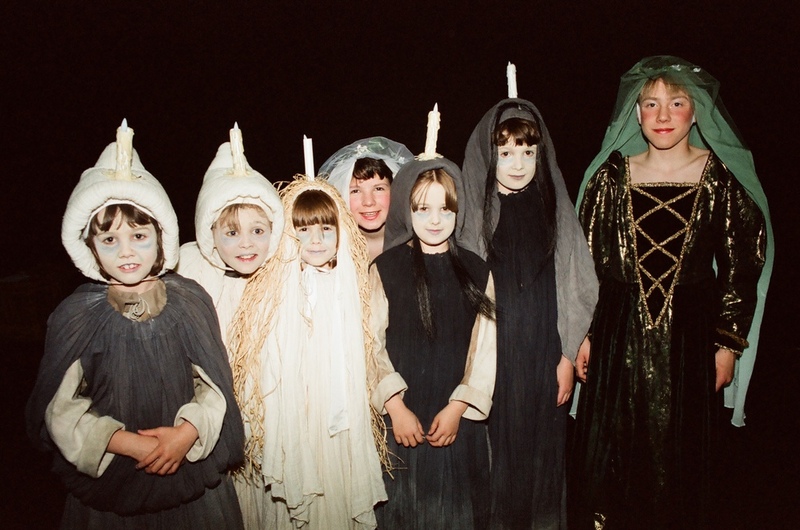 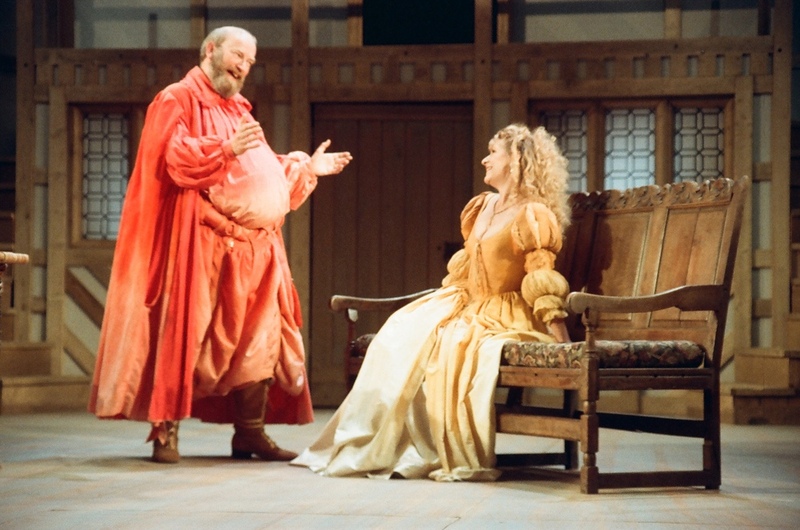 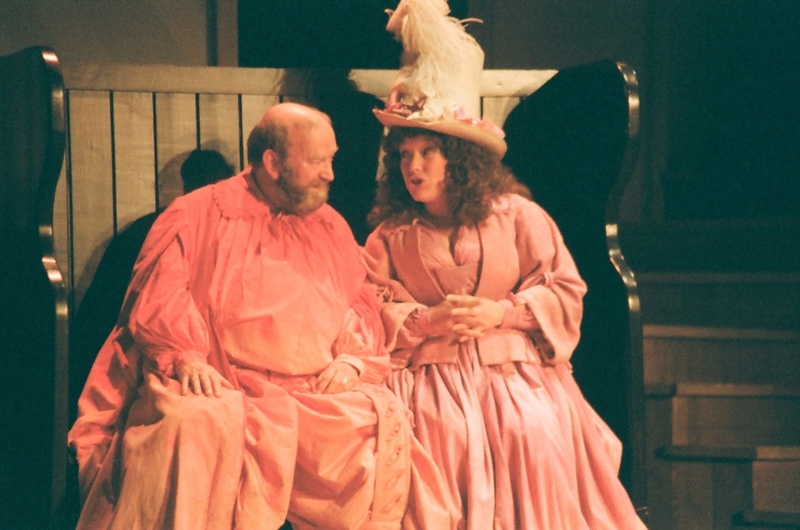 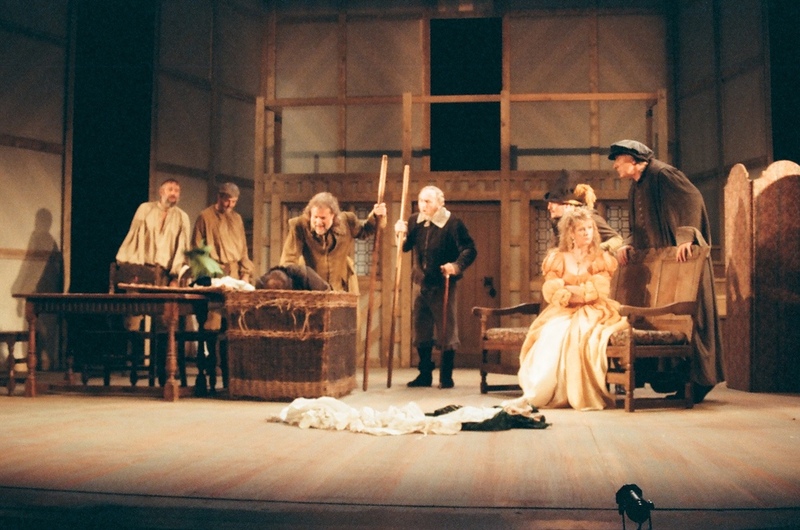 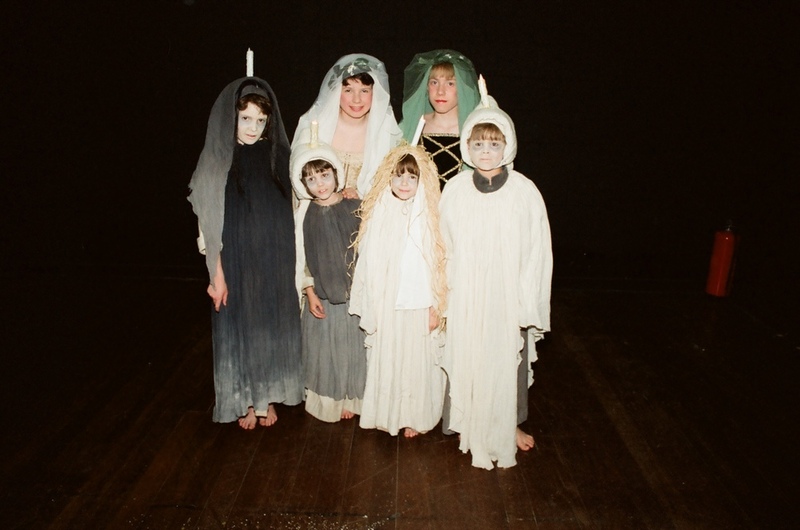 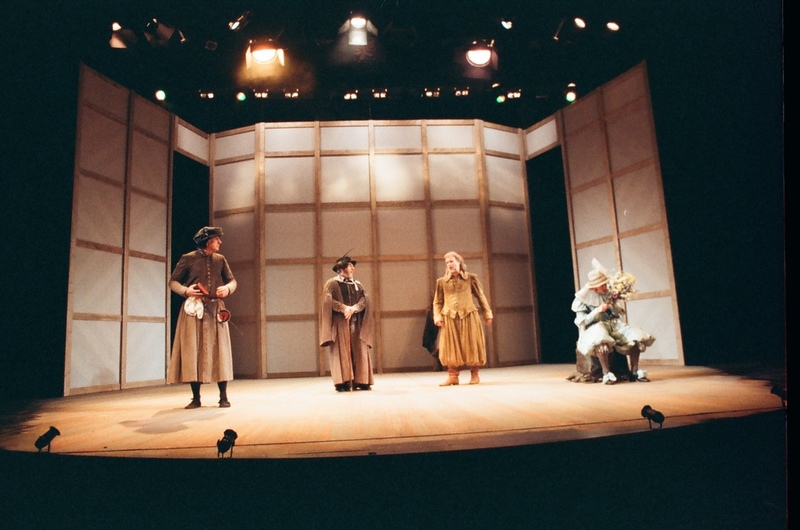 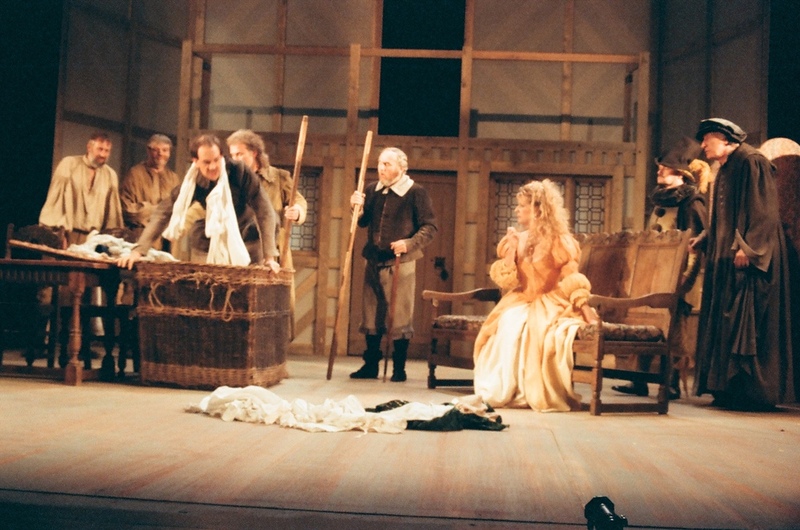 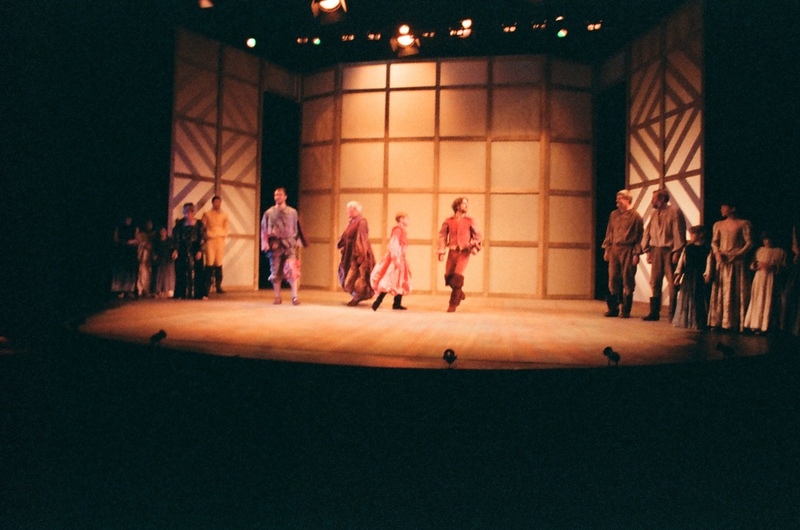 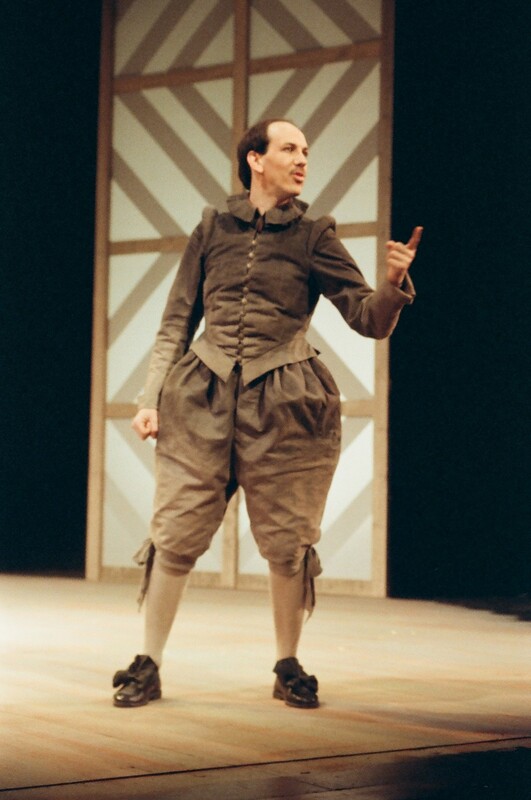 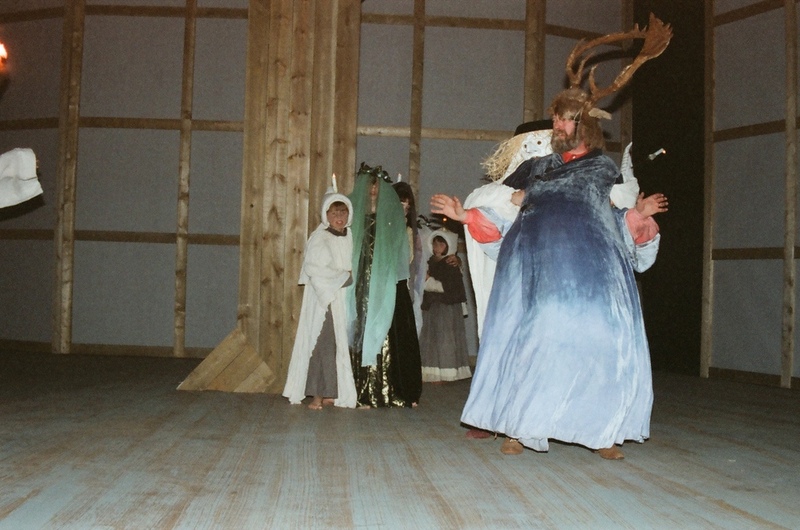 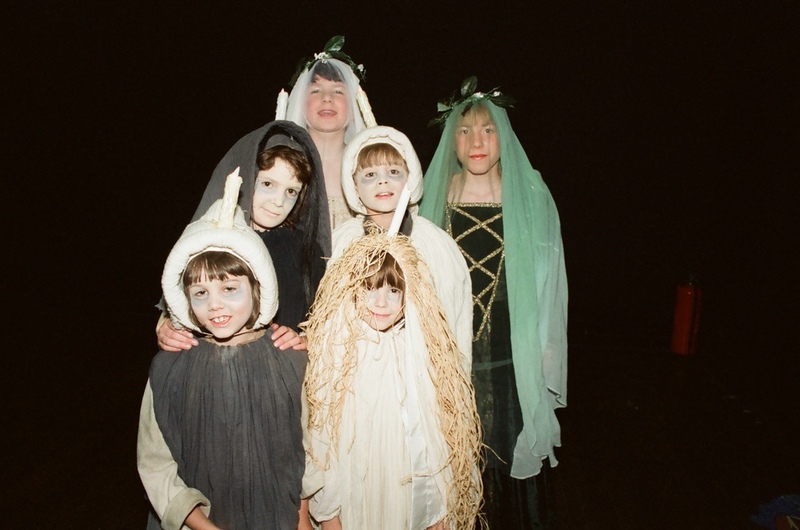 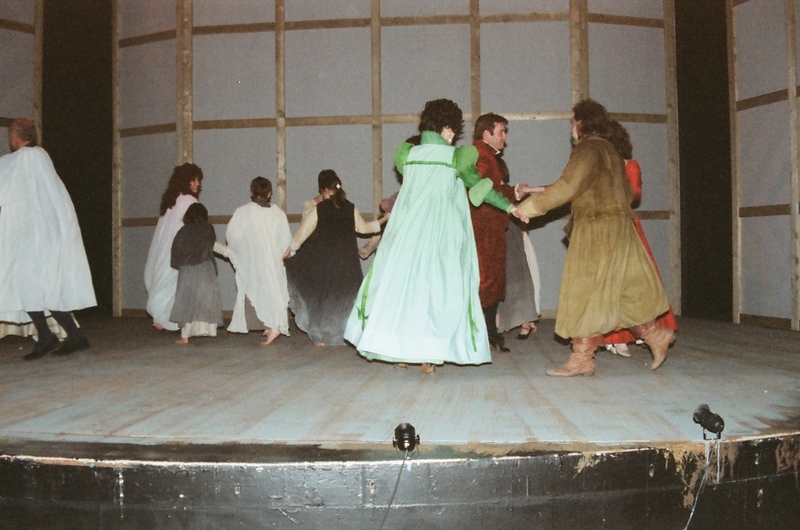 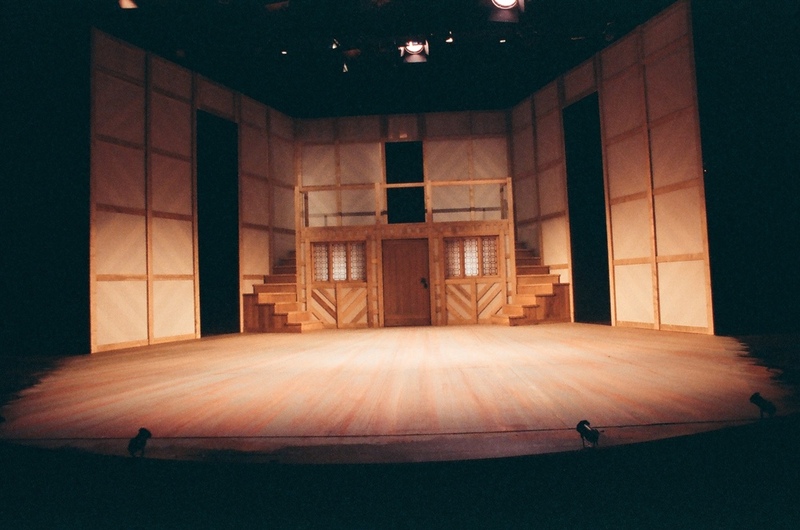 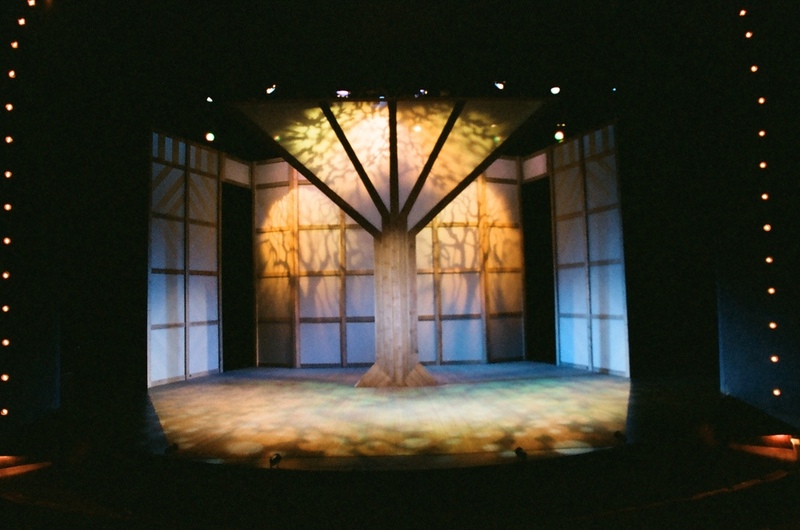 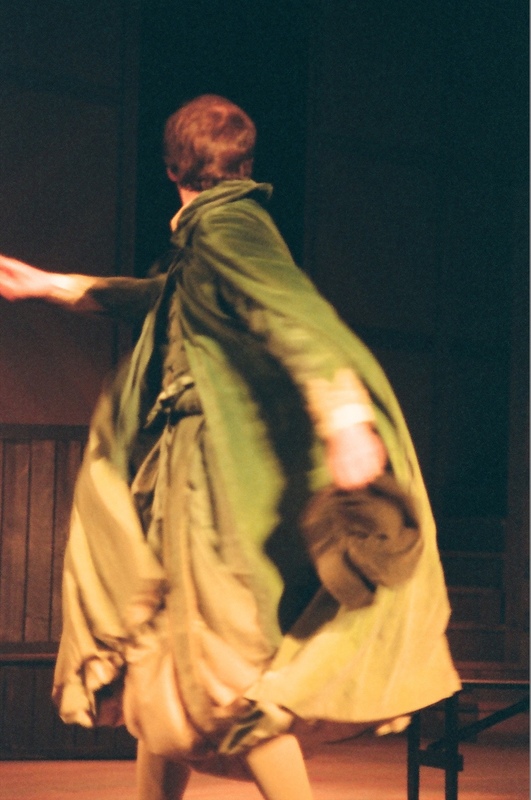 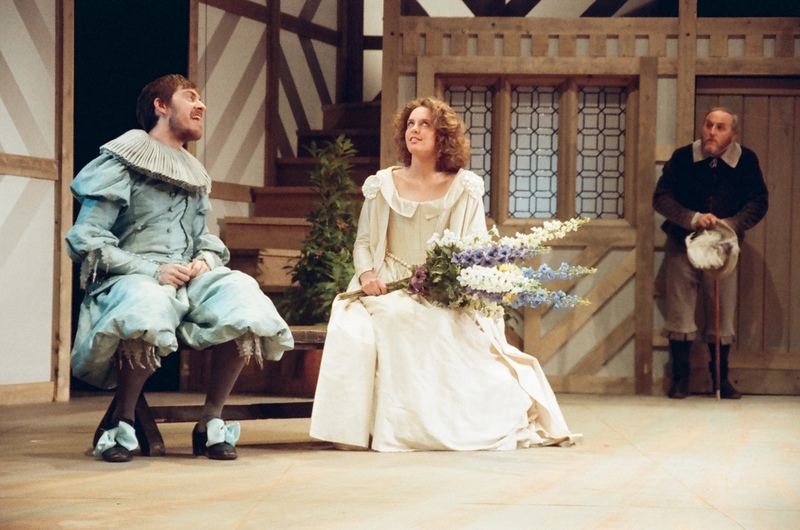 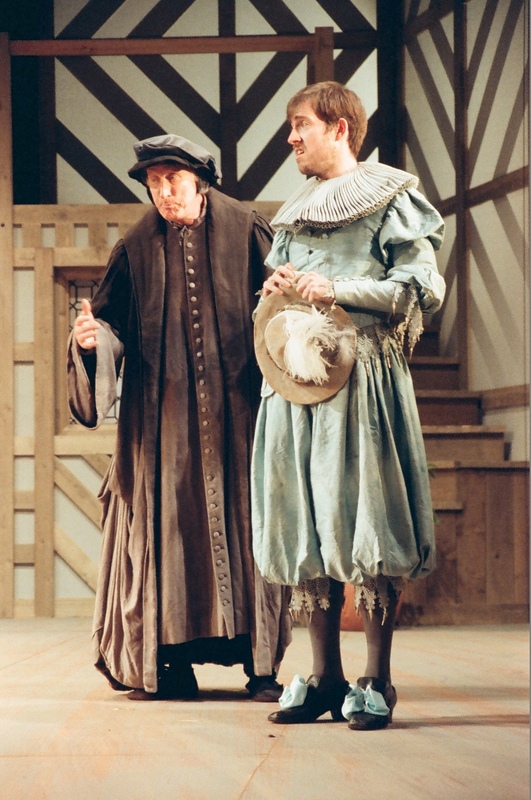 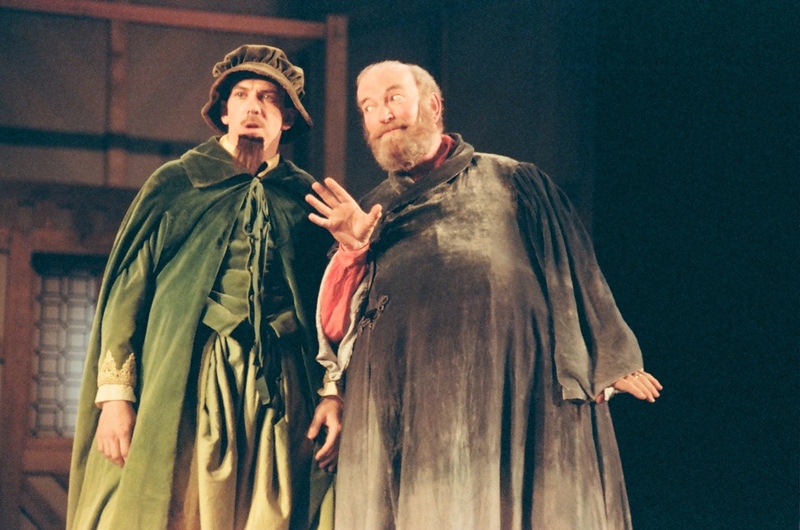 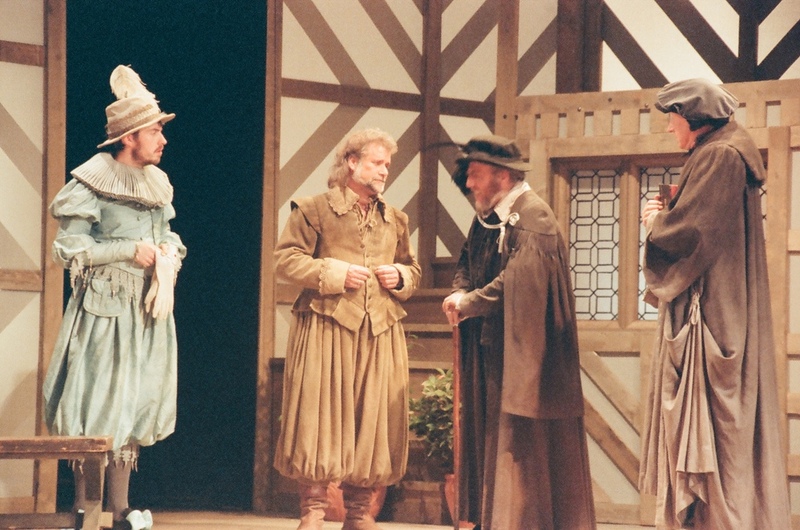 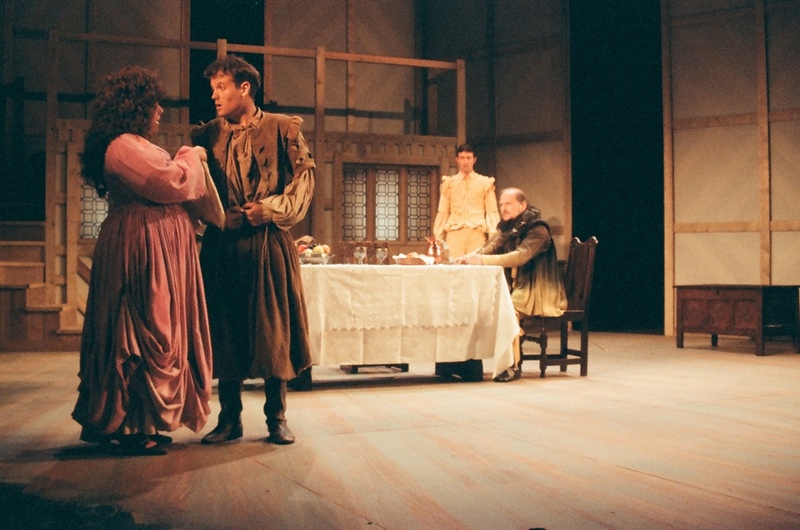 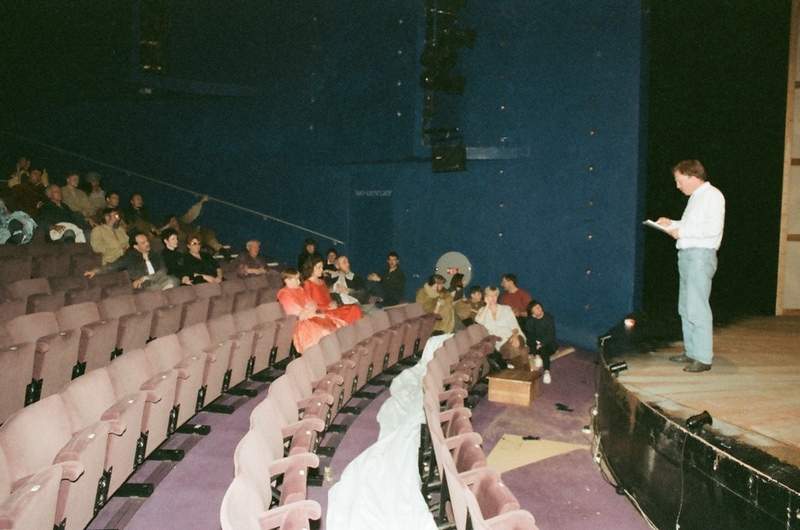 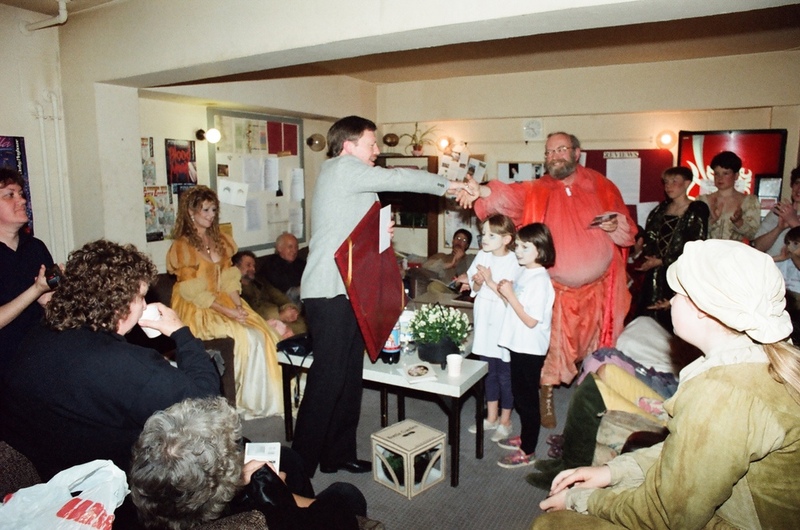 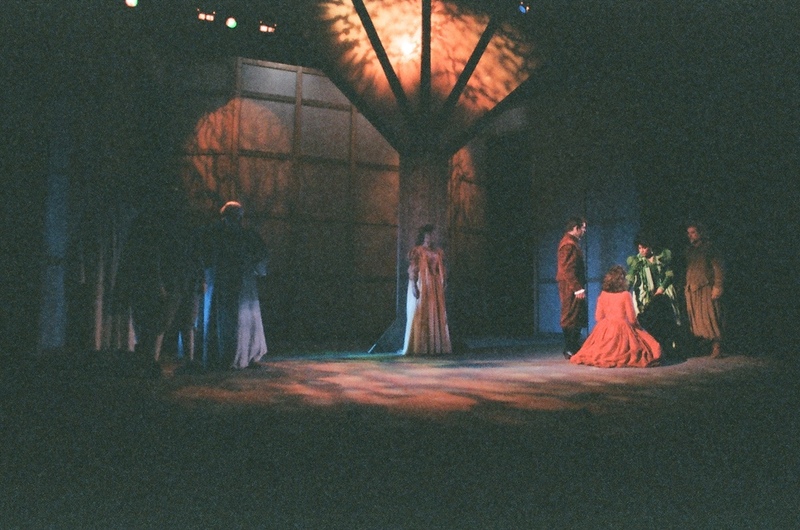 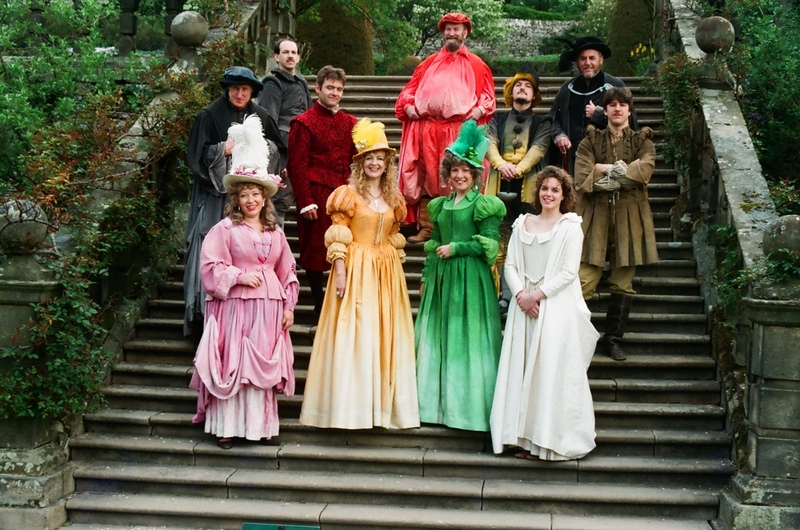 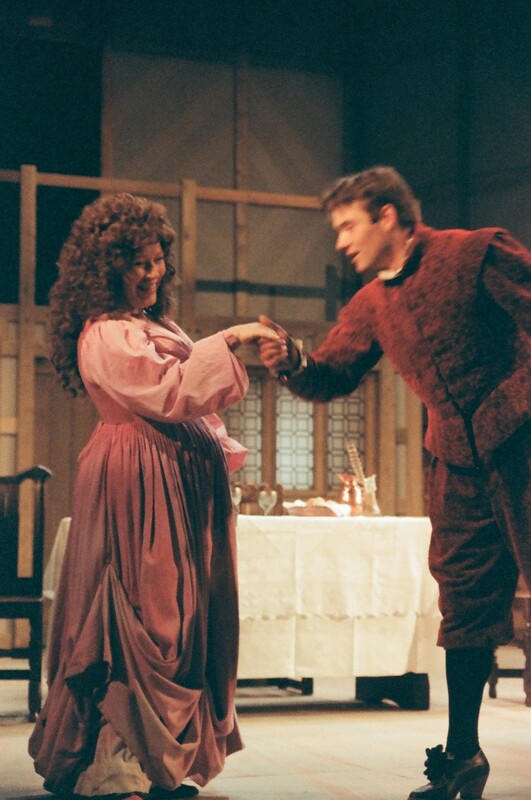 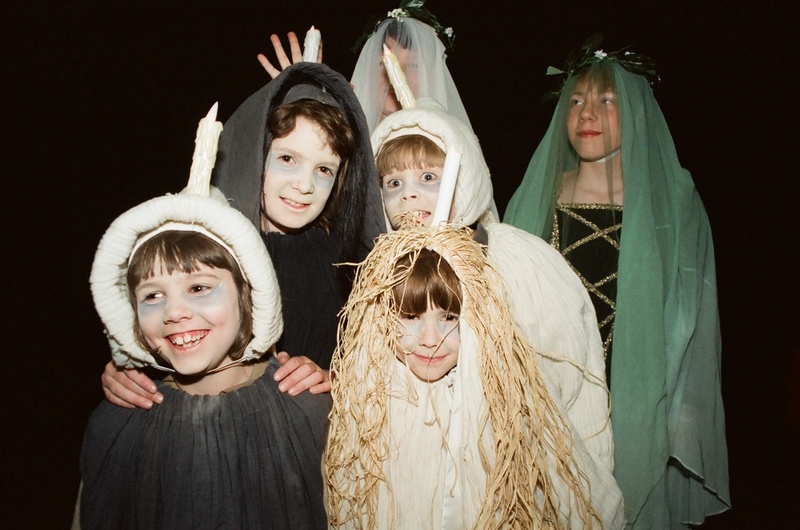 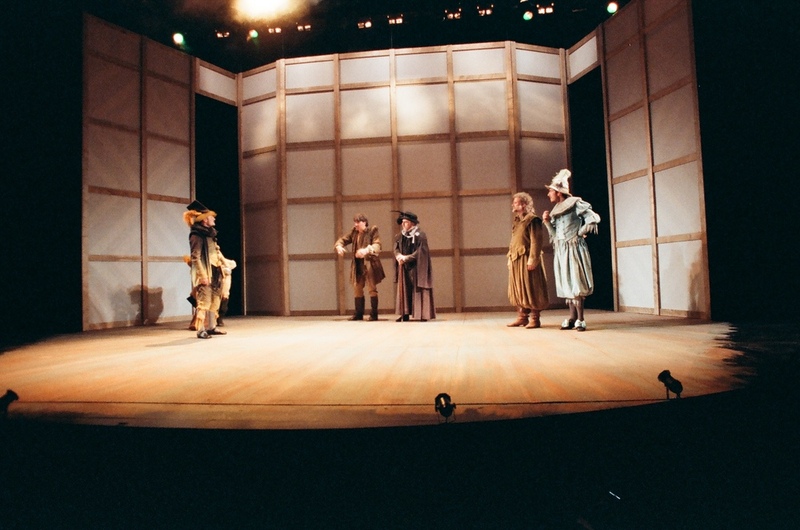 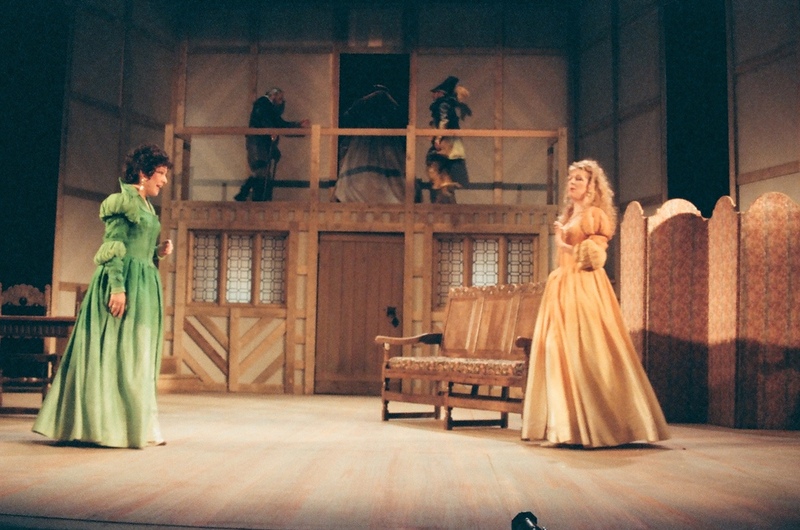 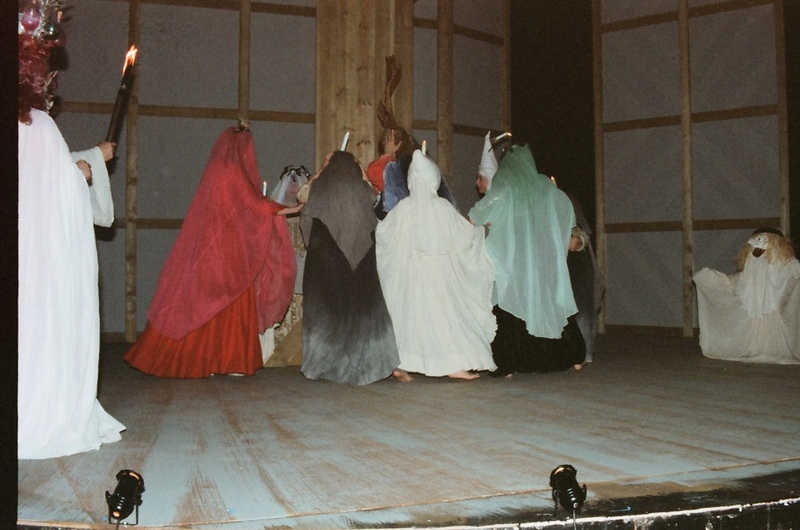 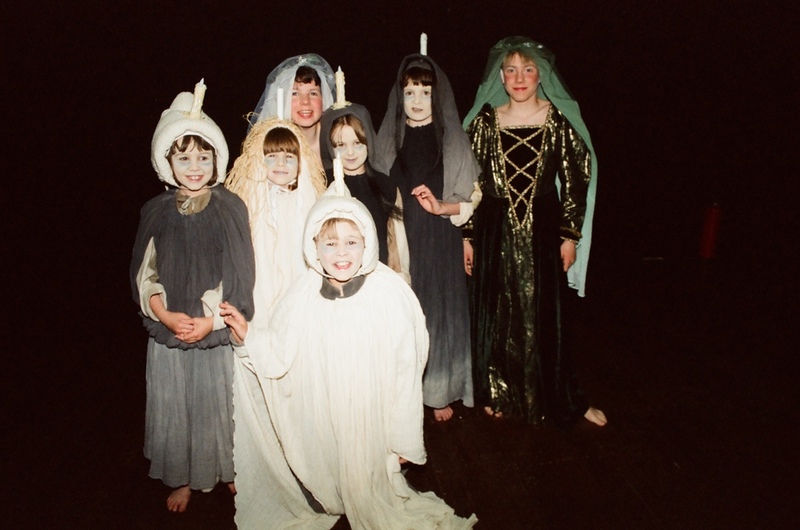 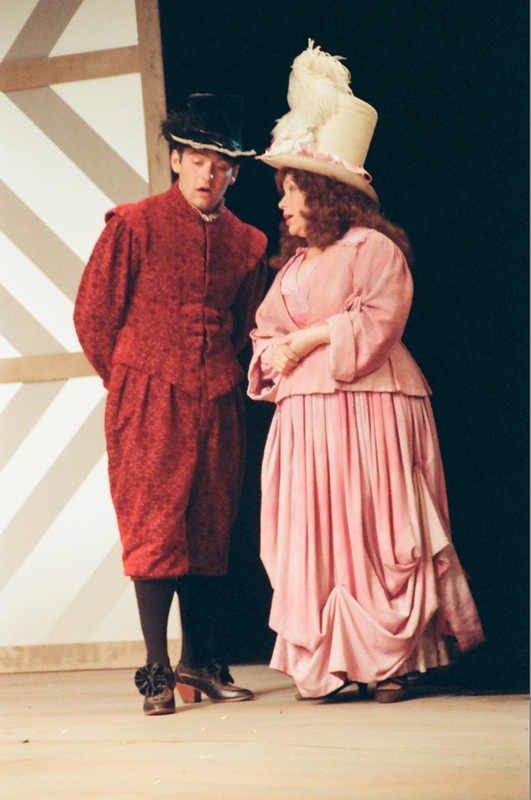 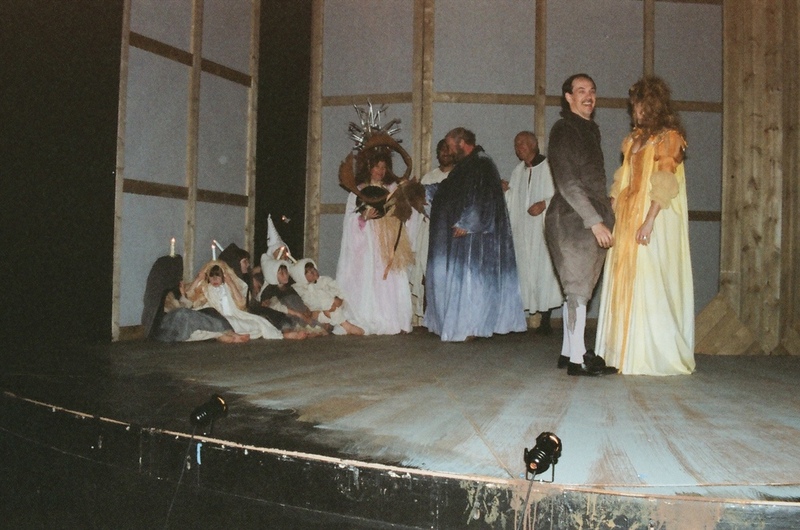 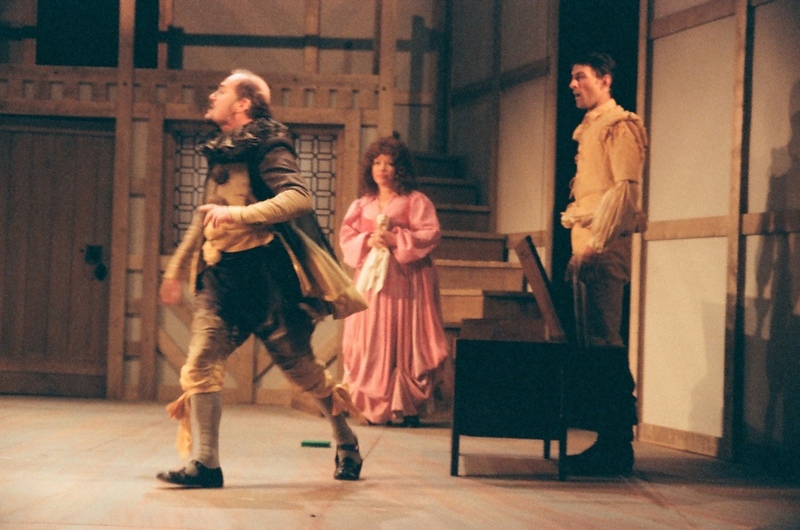 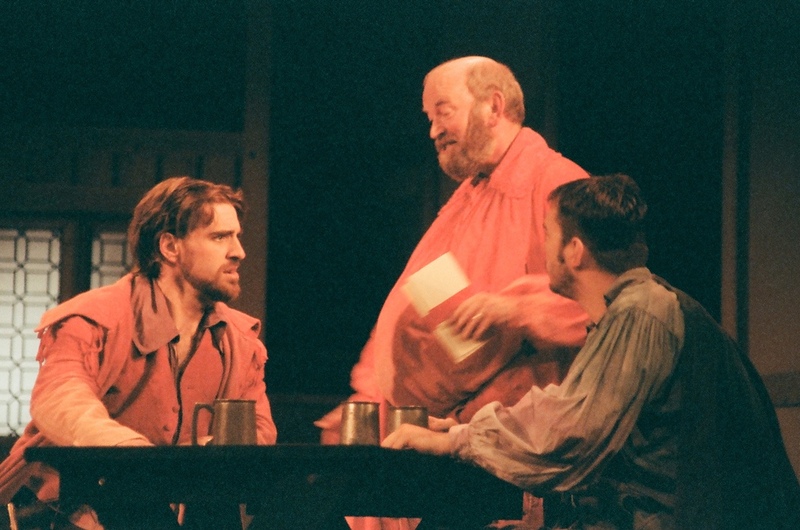 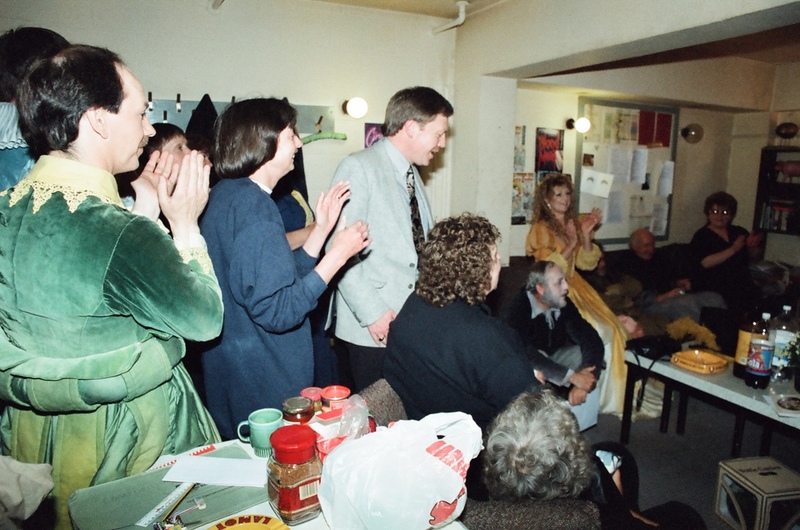 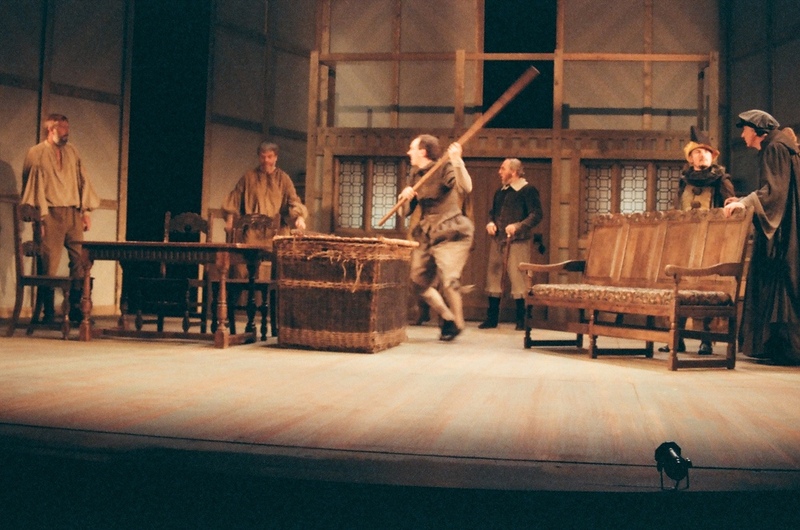 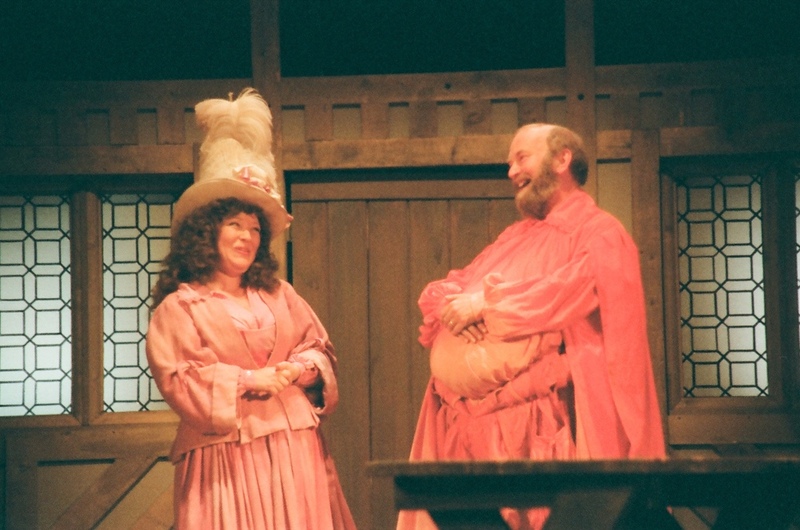 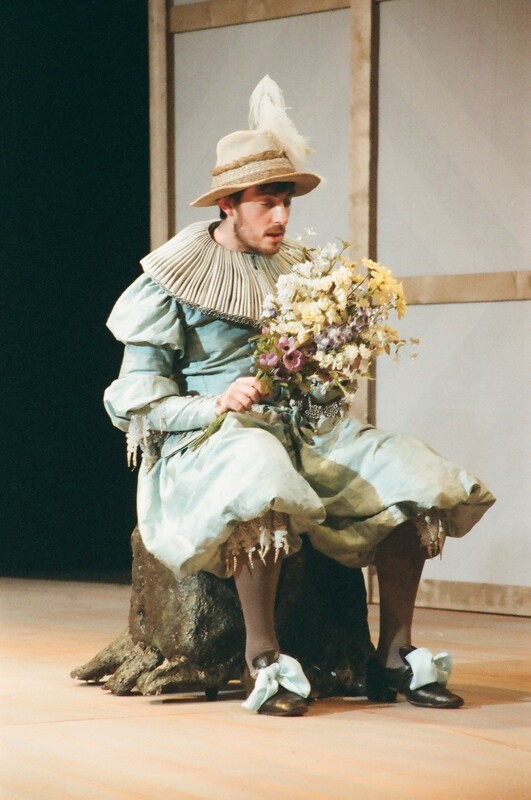 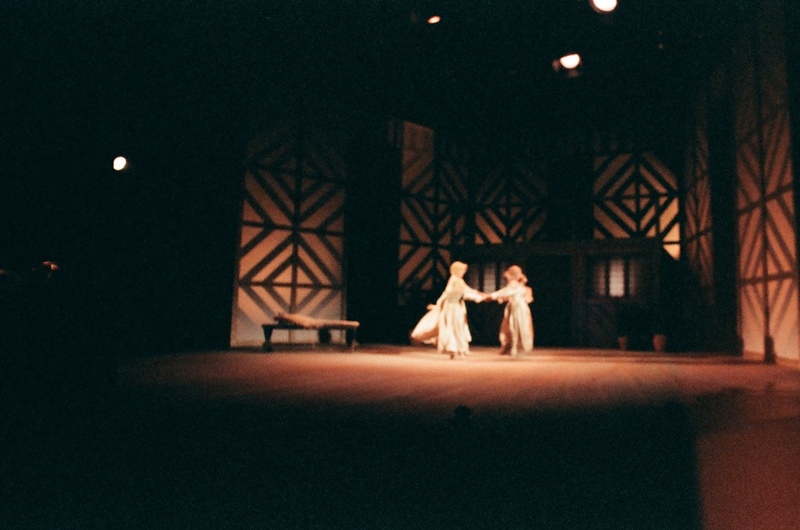 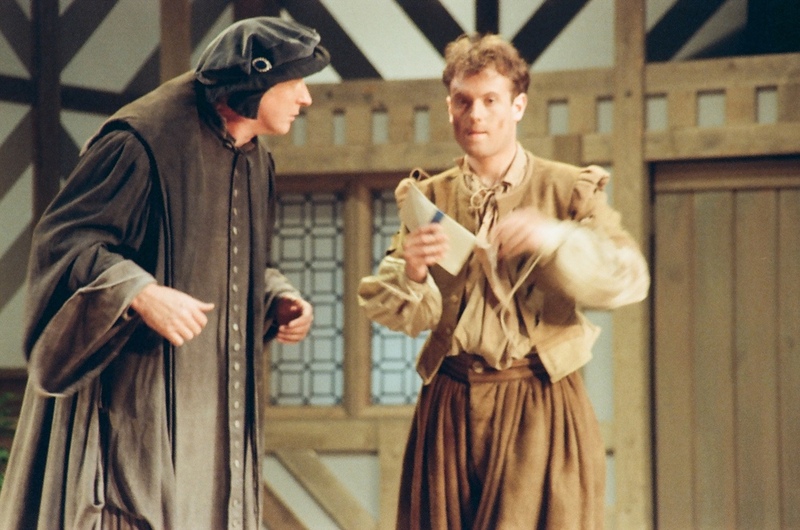 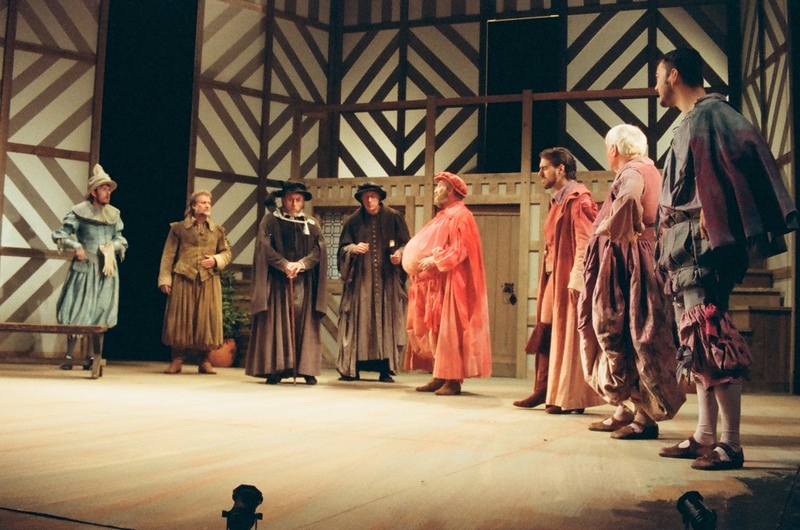 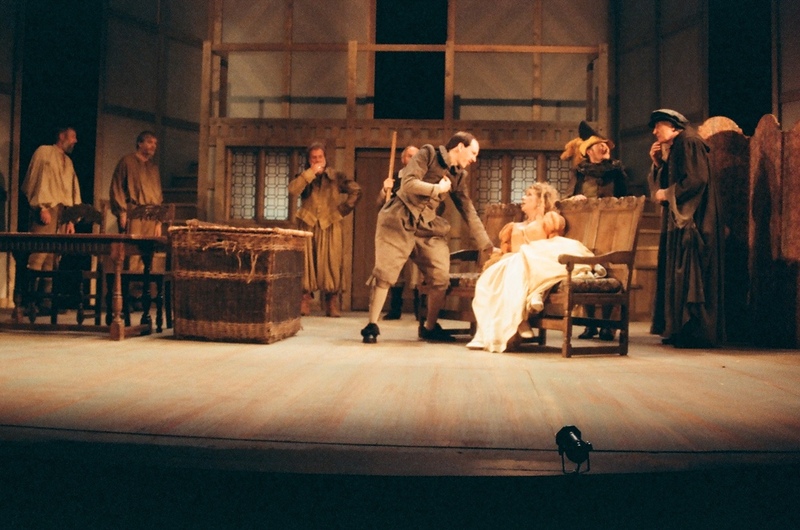 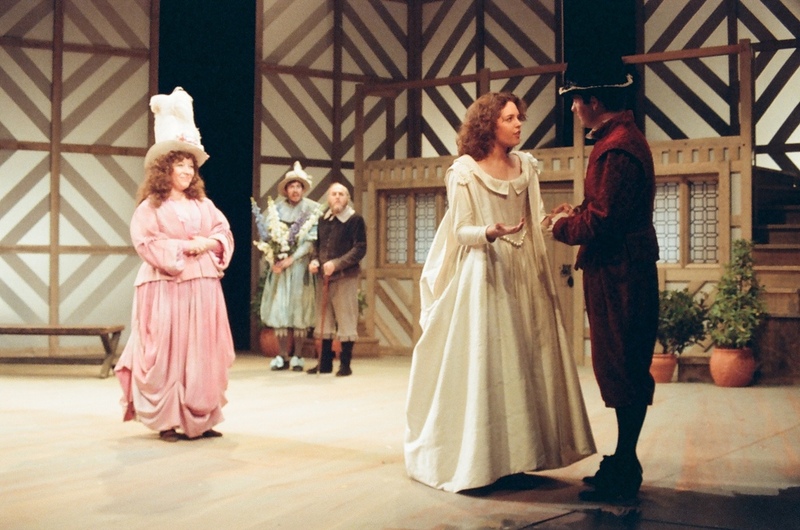 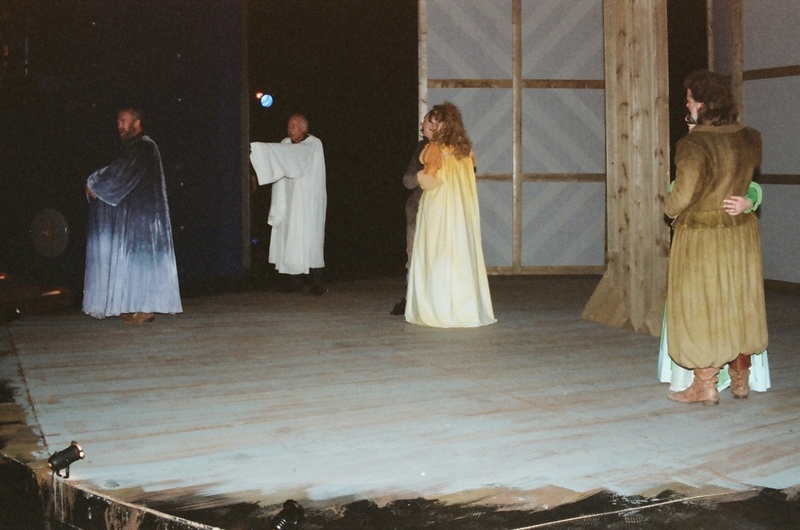 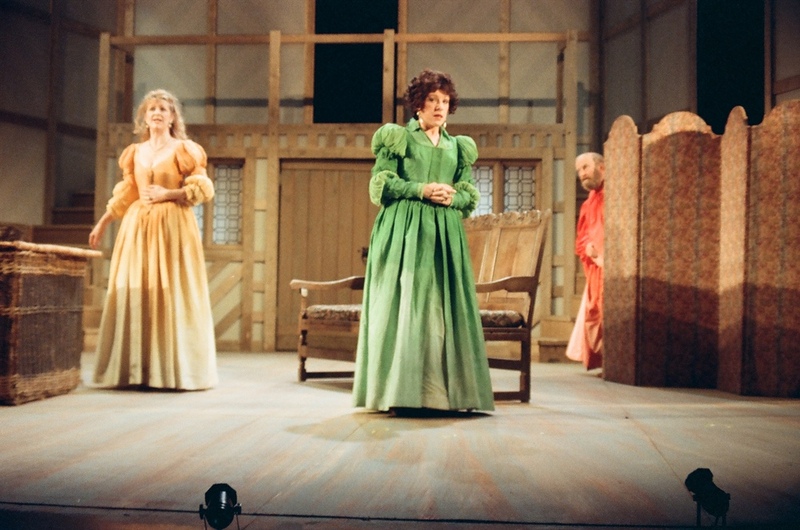 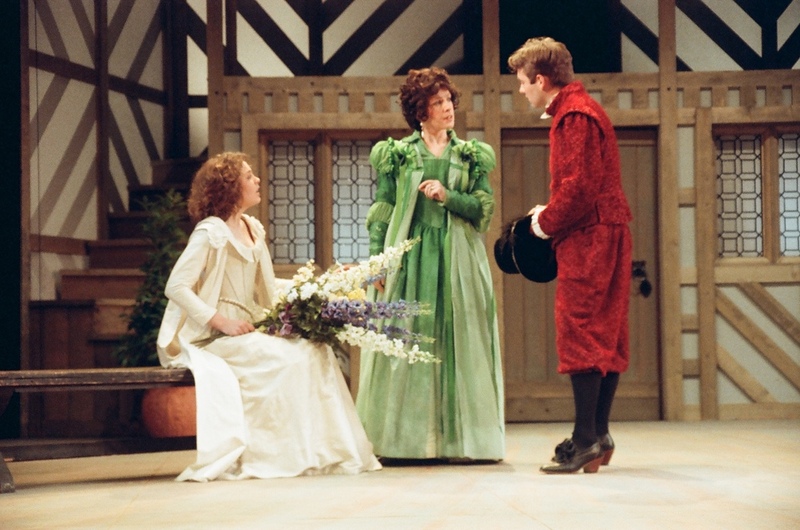 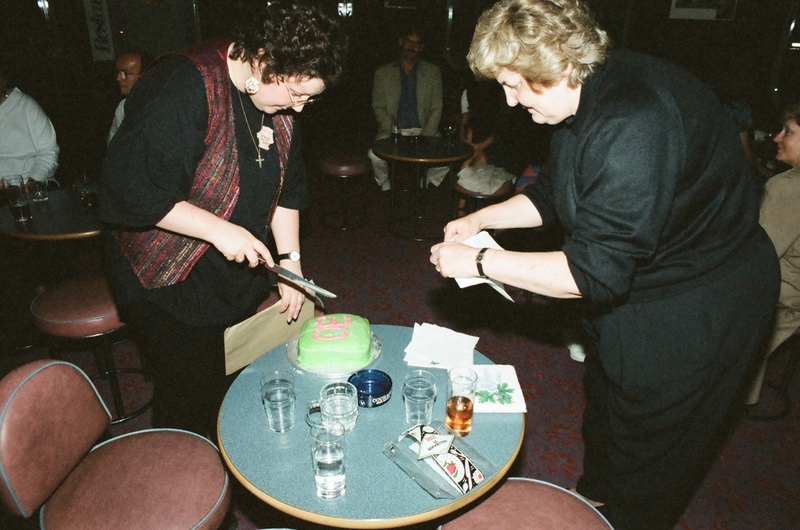 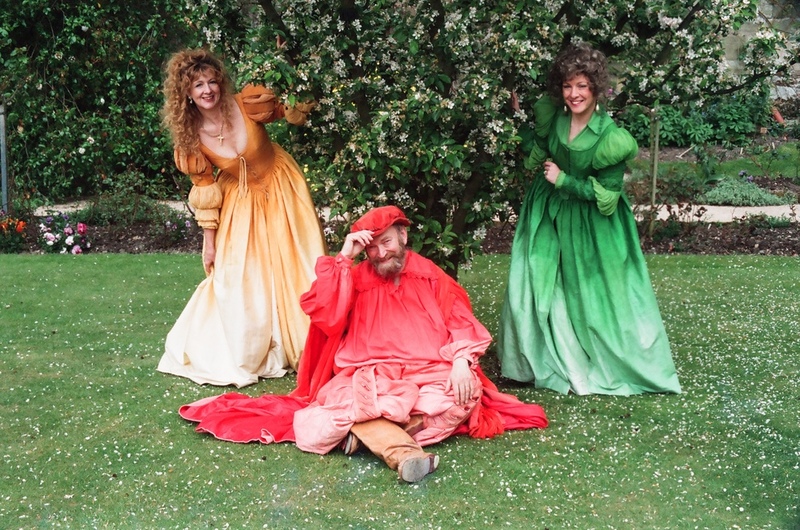 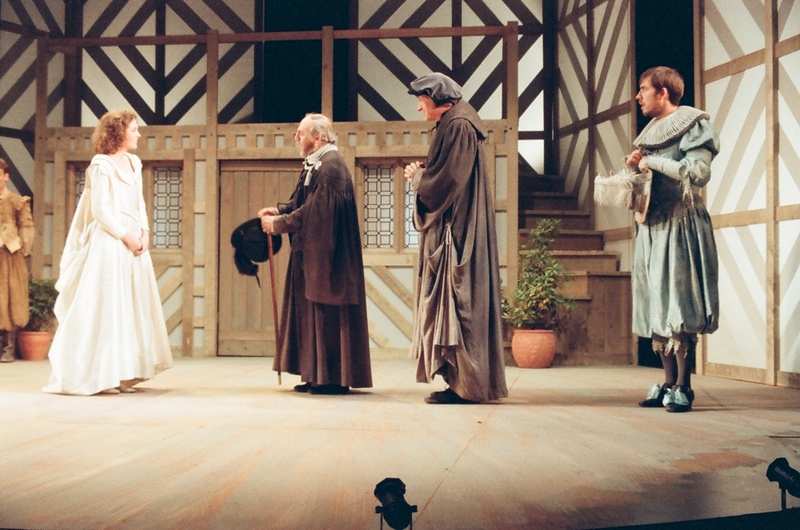 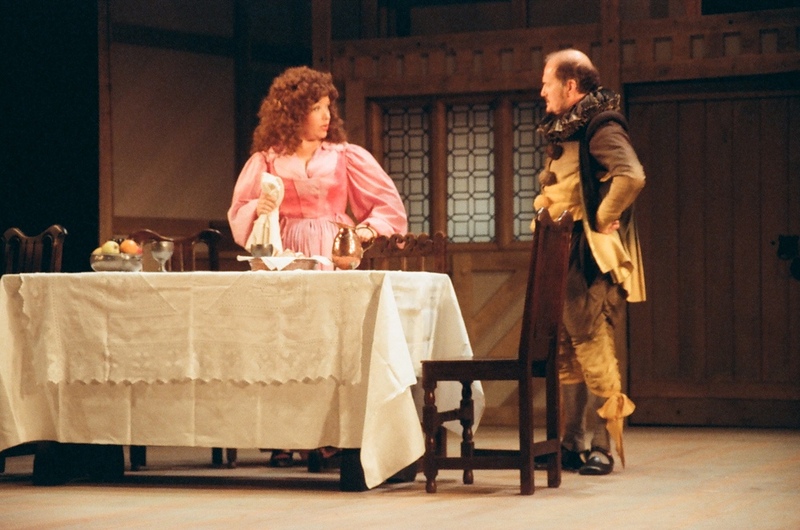 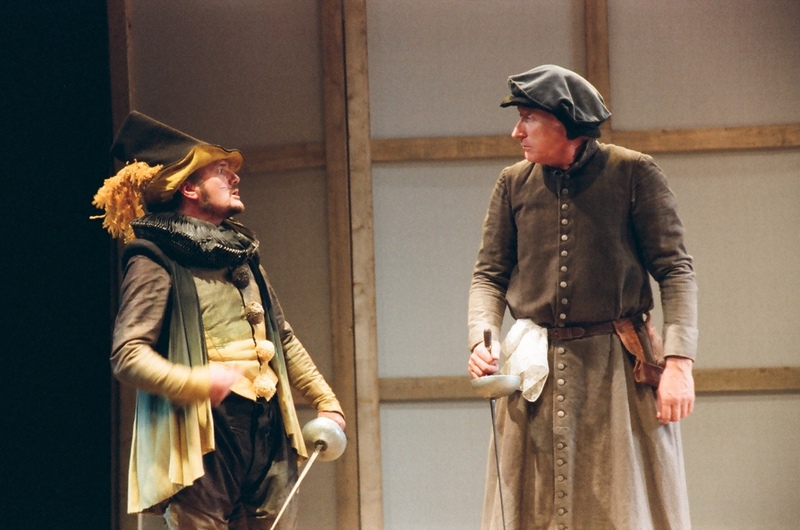 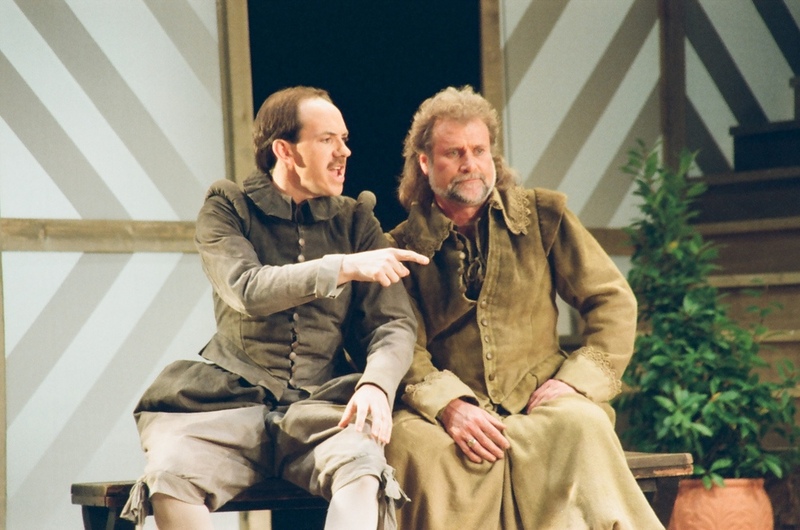 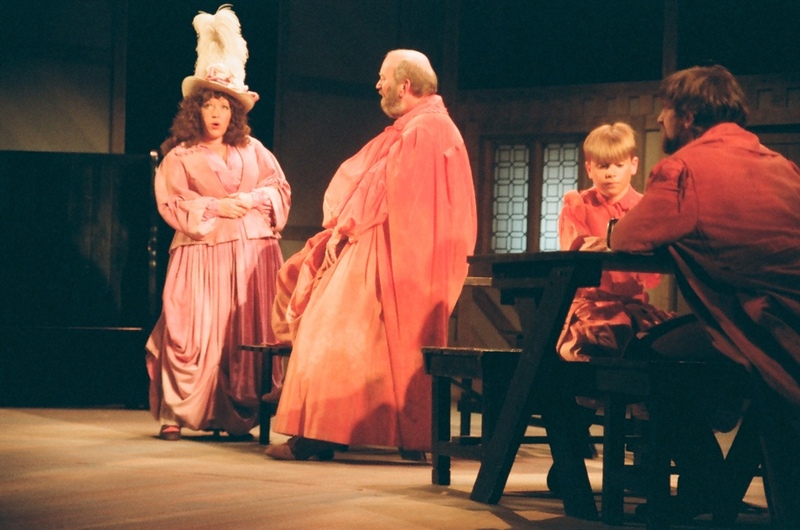 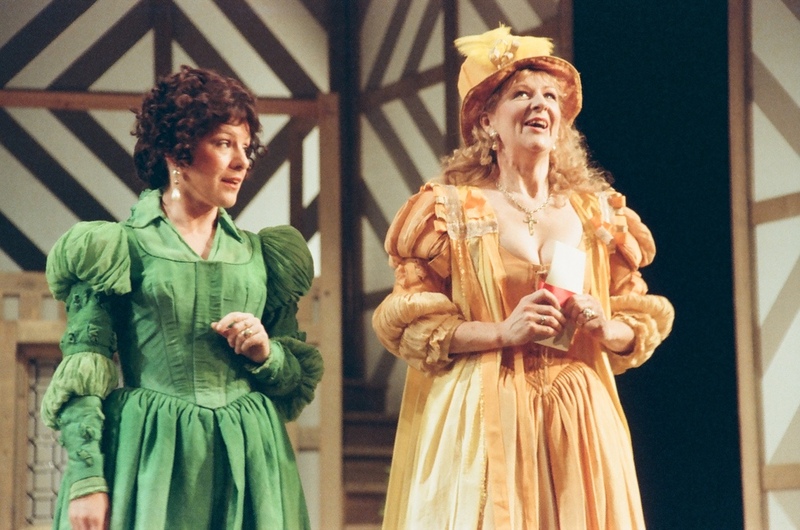 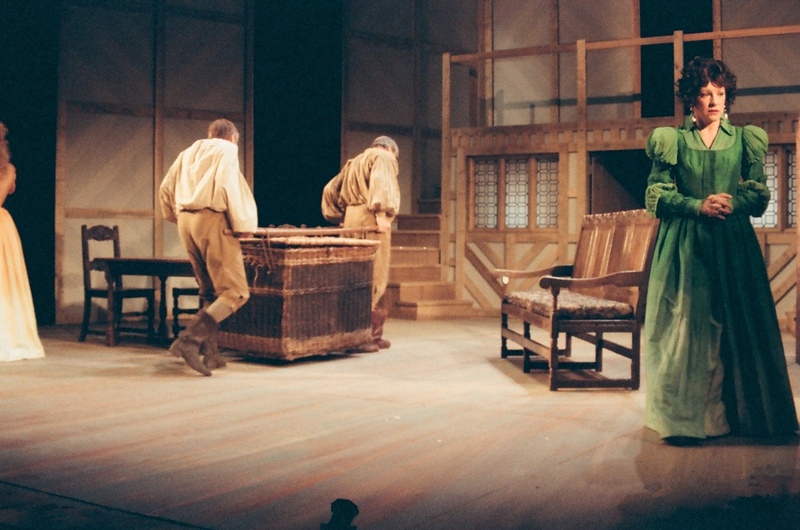 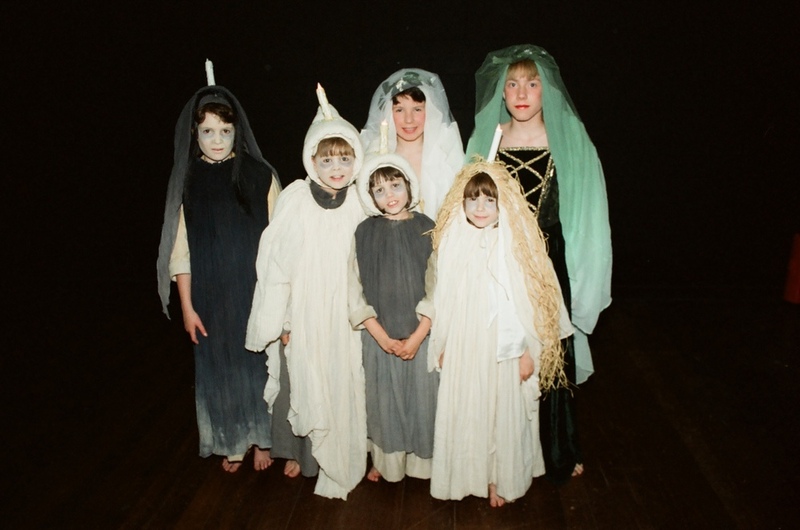 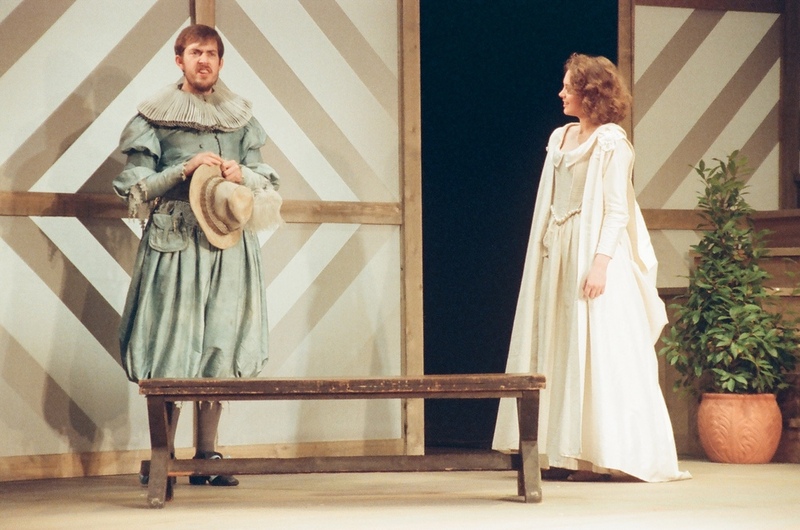 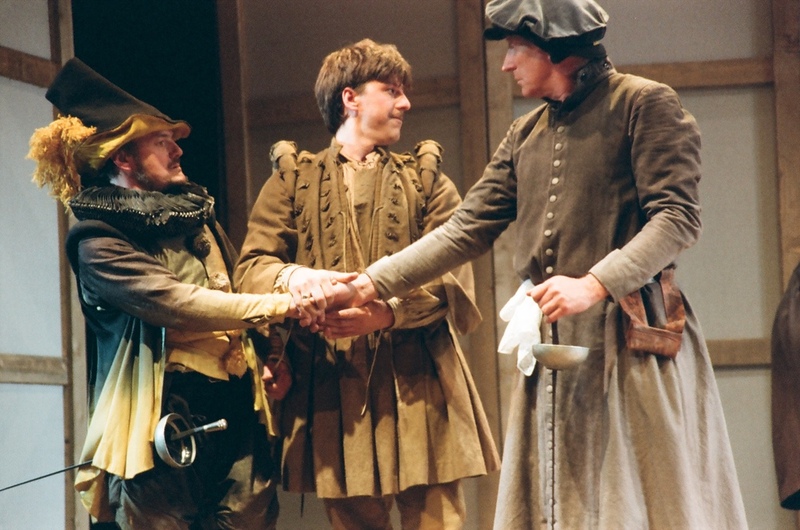 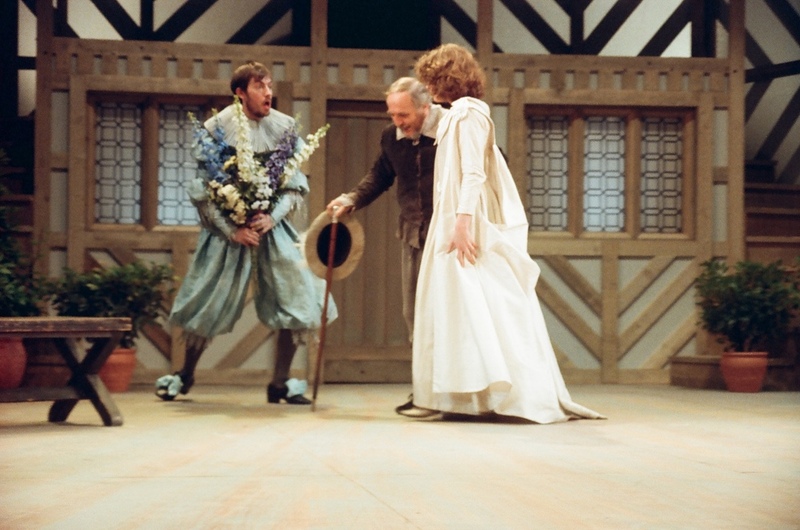 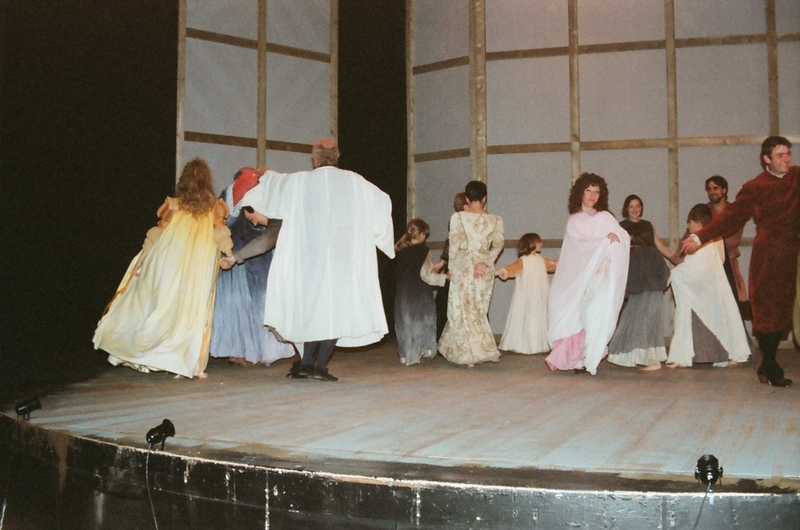 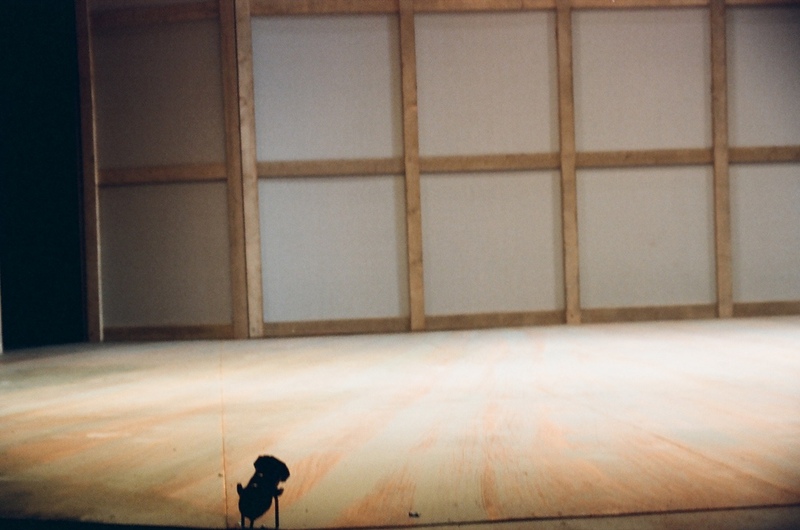 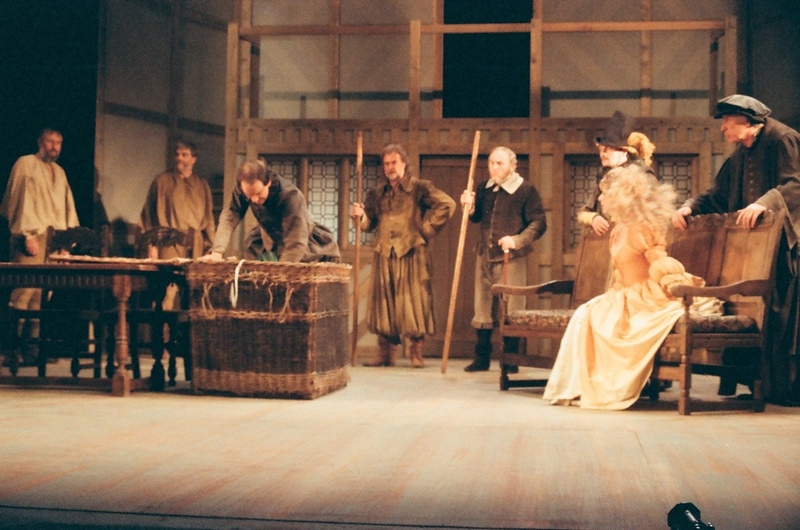 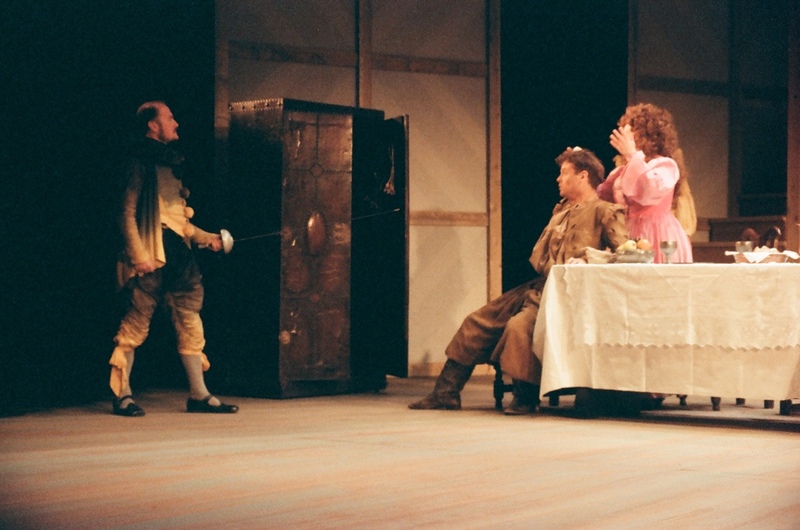 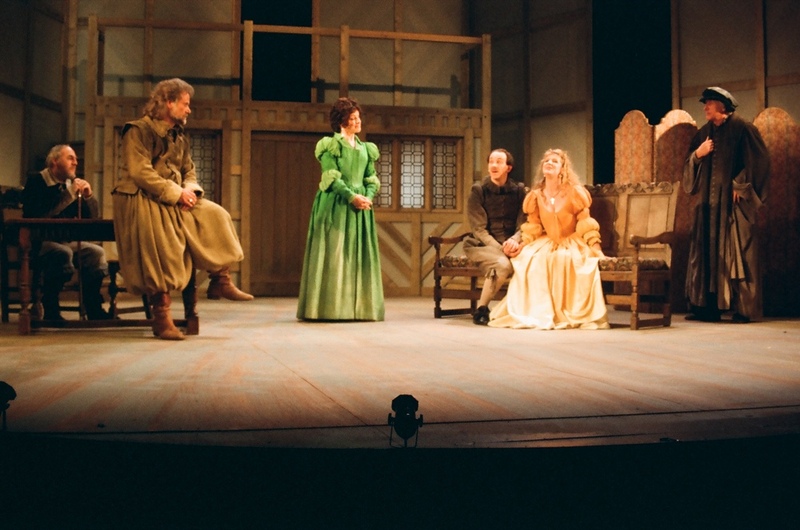 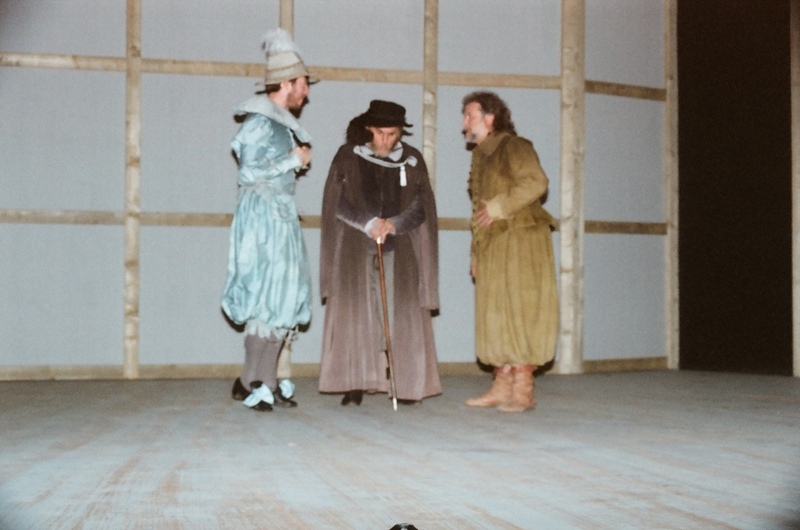 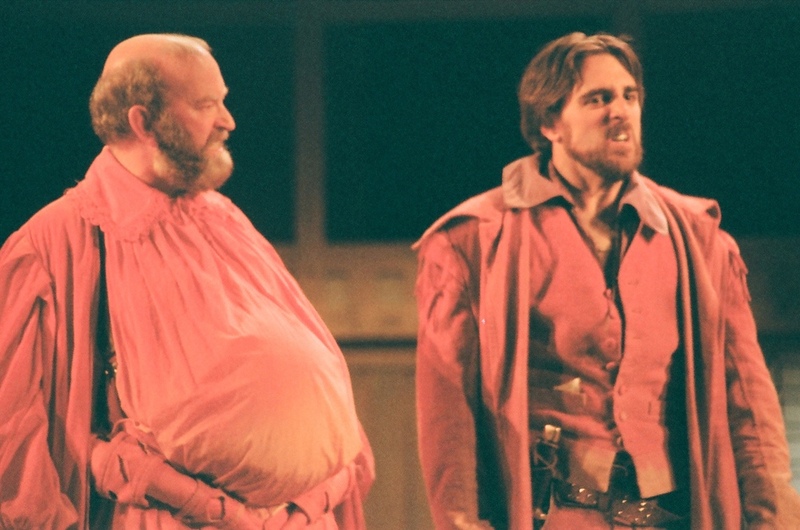 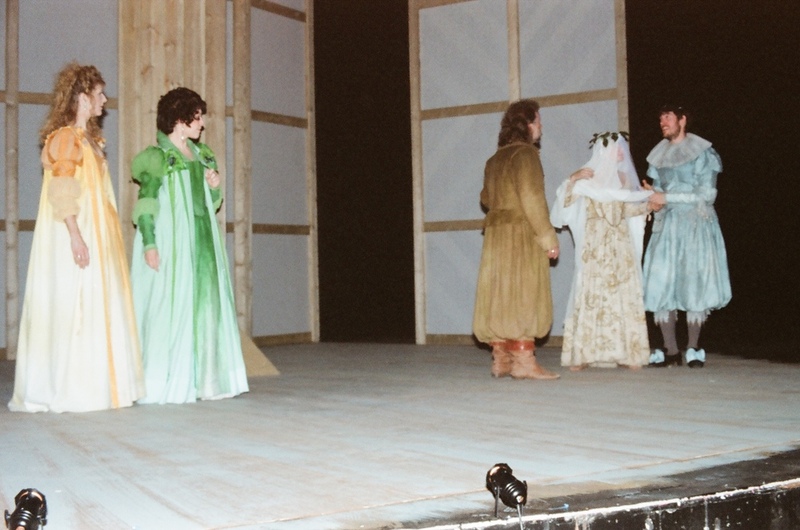 Shakespeare's light-hearted glimpse of Elizabethan country life filled the stage in fine style with Phil Button's 1994 production of 'The Merry Wives Of Windsor' at Derby Playhouse. 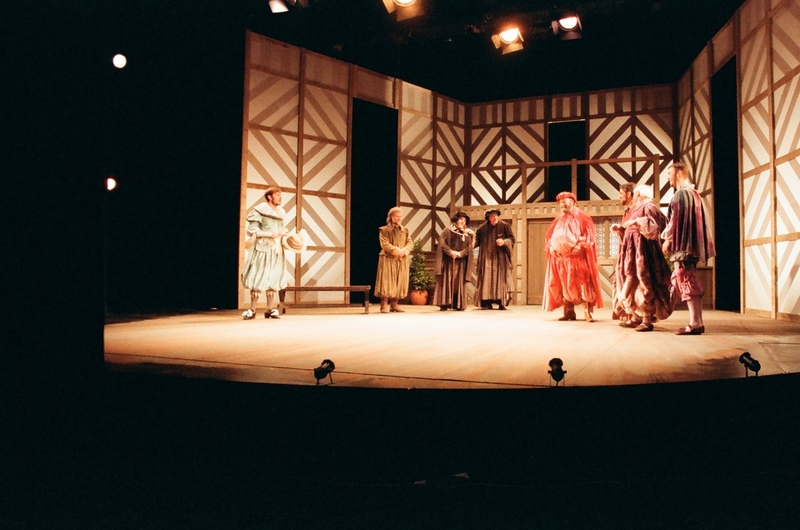 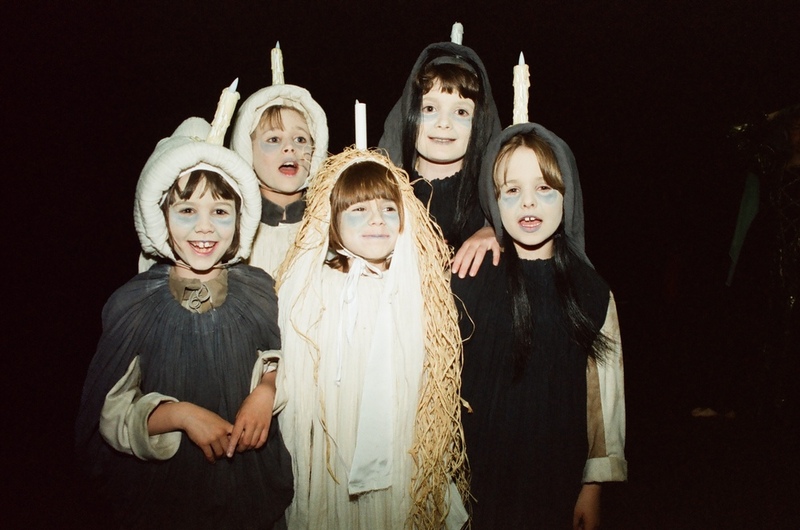 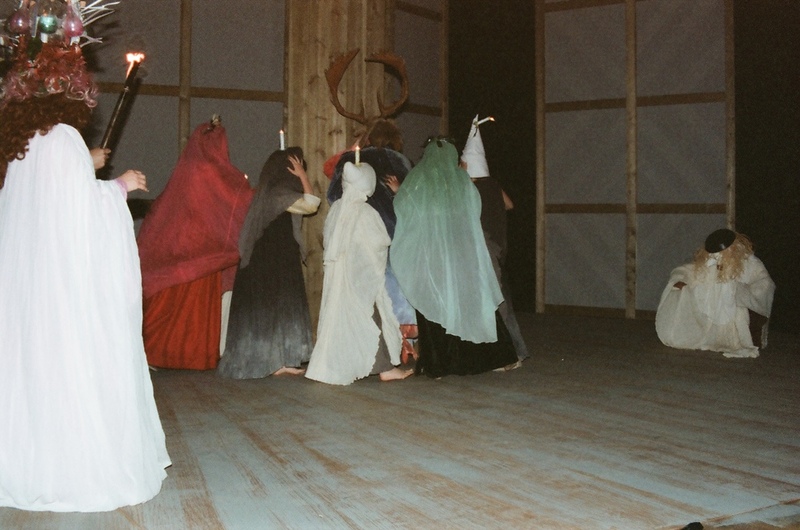 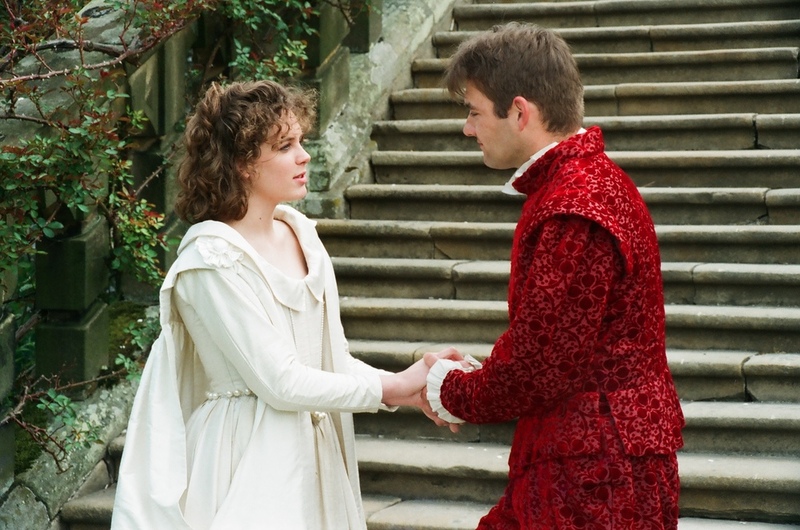 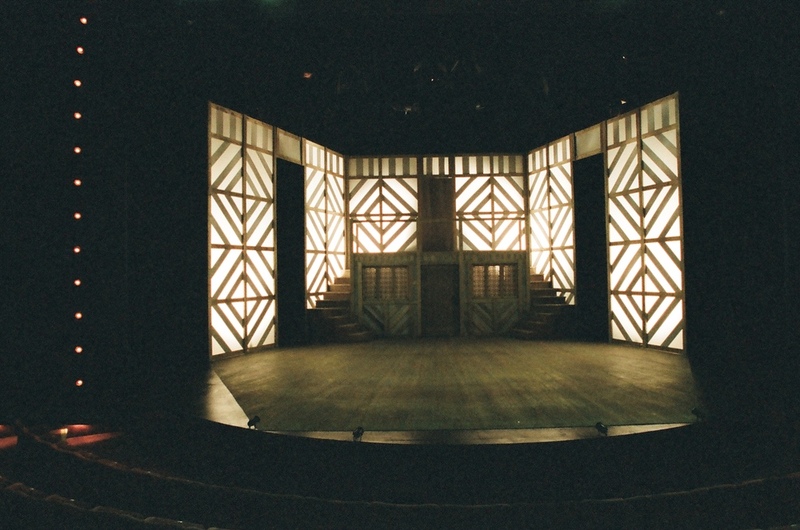 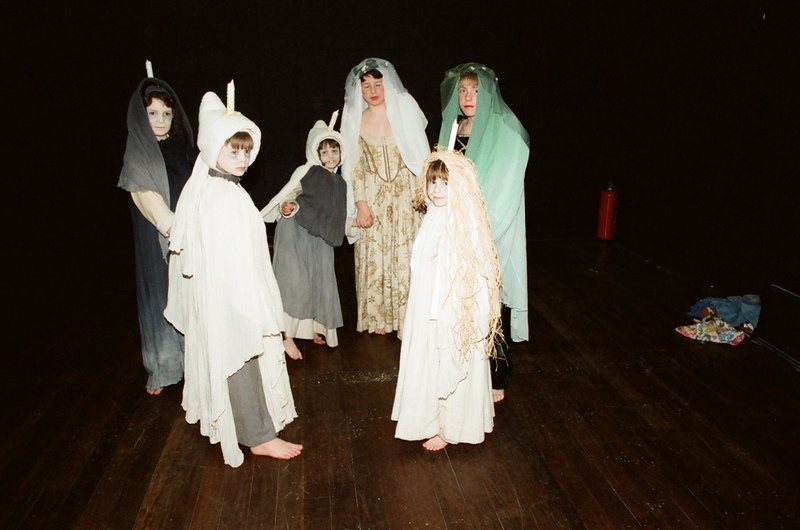 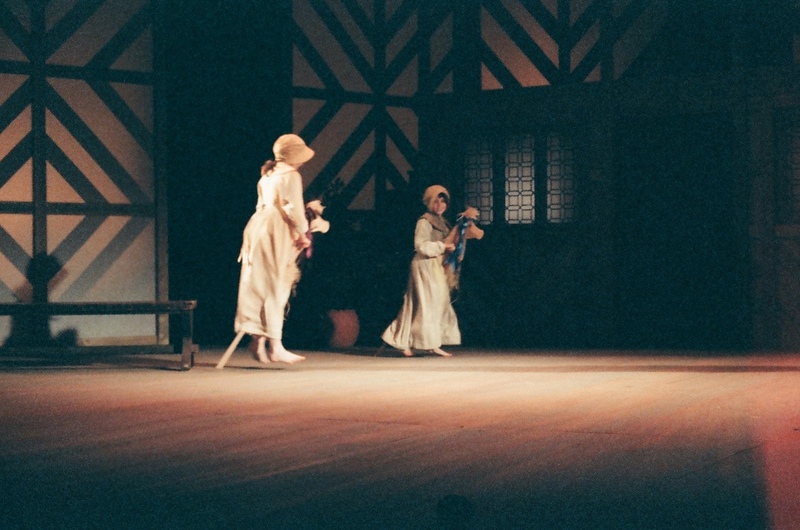 Complete with a stunning Tudor-style set and a cast of whimsical characters the show was warm, exhilarating and funny. 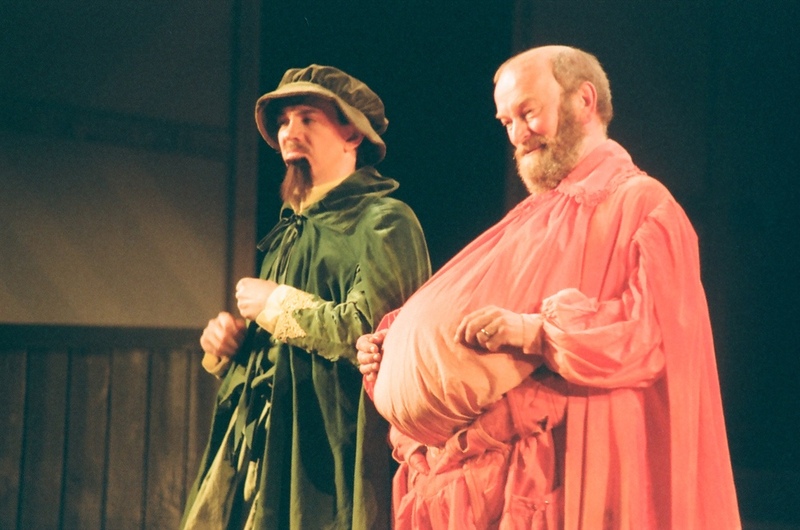 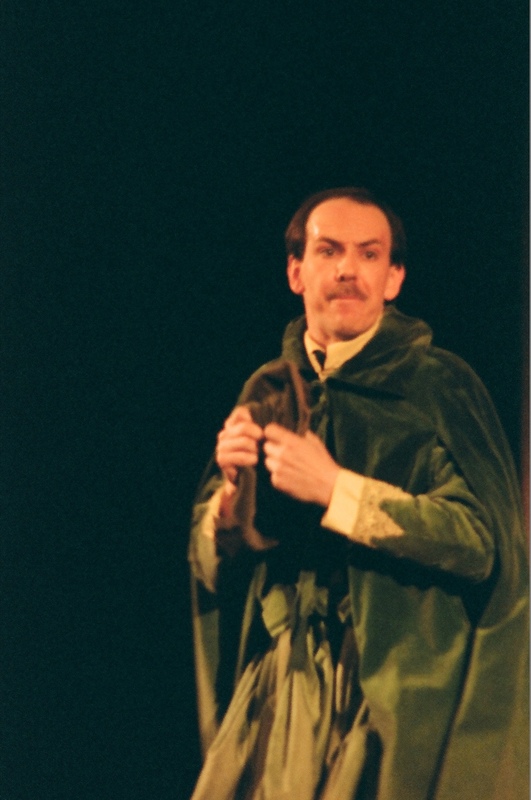 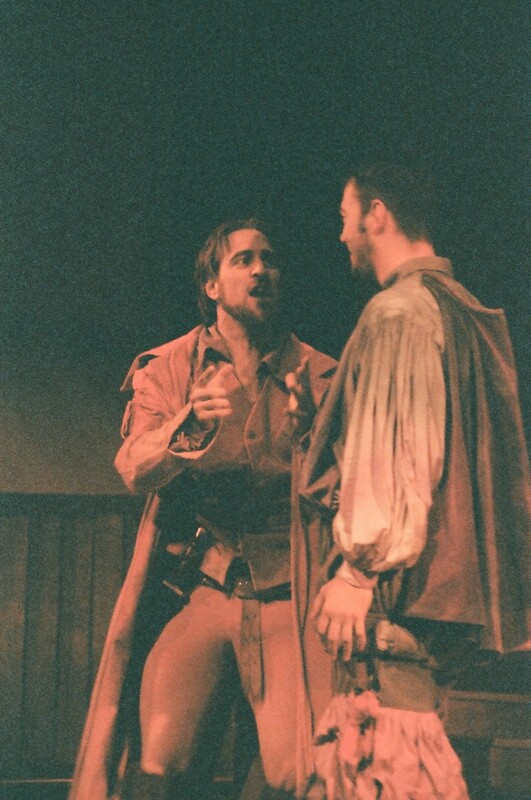 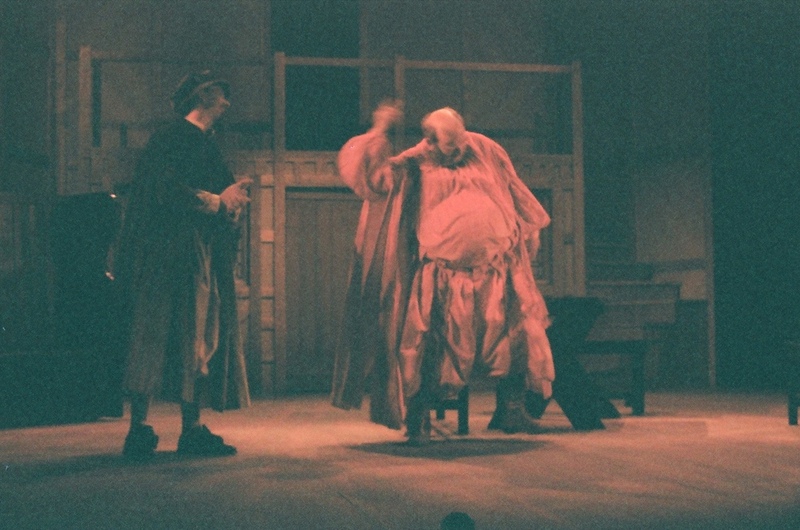 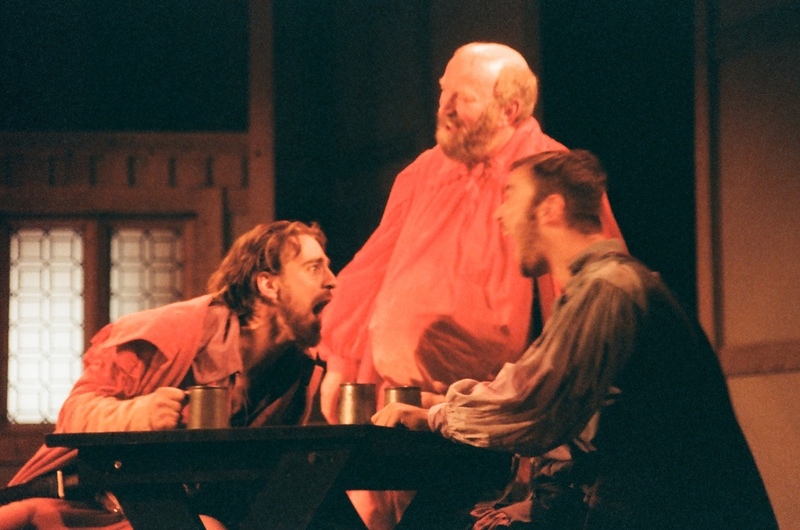 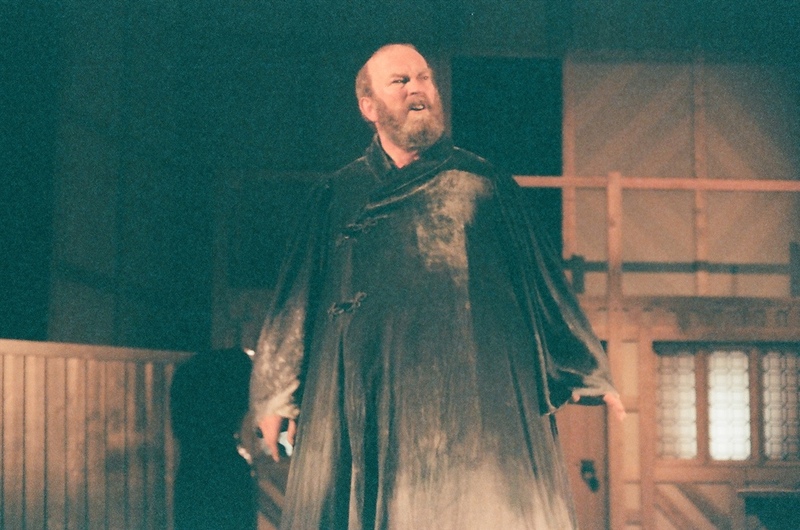 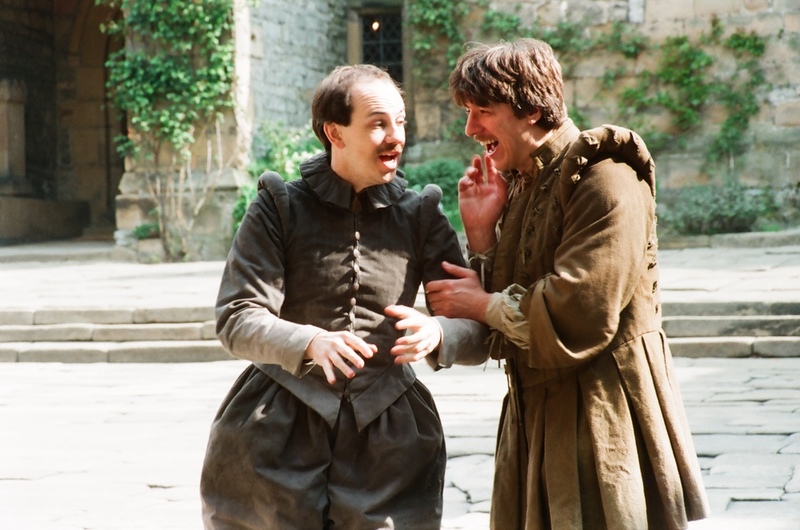 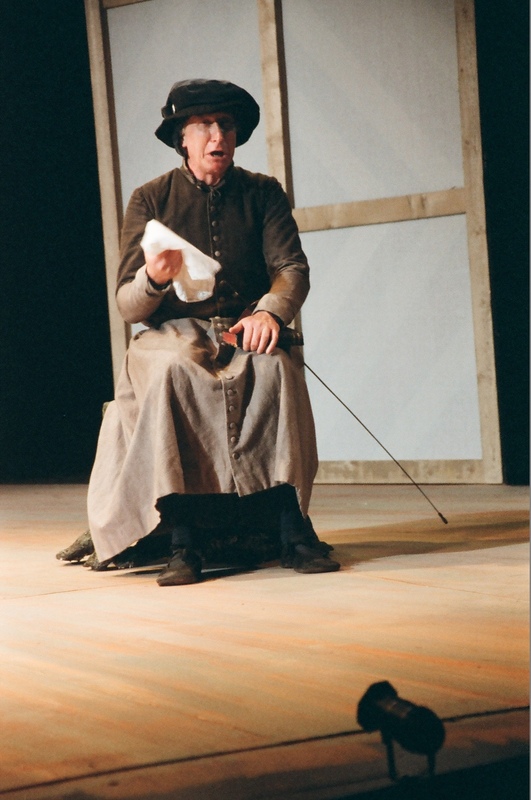 Ian Arnot took the role of Sir John Falstaff, the bard's legendary rascal, and brought great comedic skill and timing to the farcical story of a womanising double-dealer outwitted by the targets of his unwanted attention. 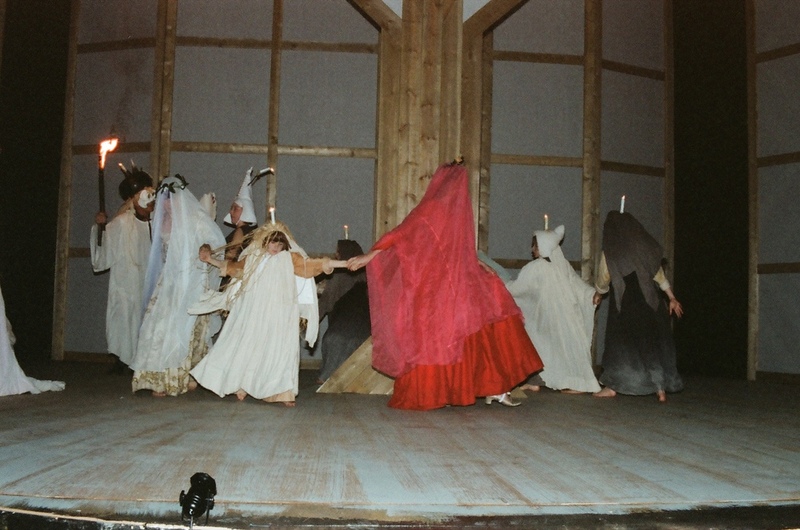 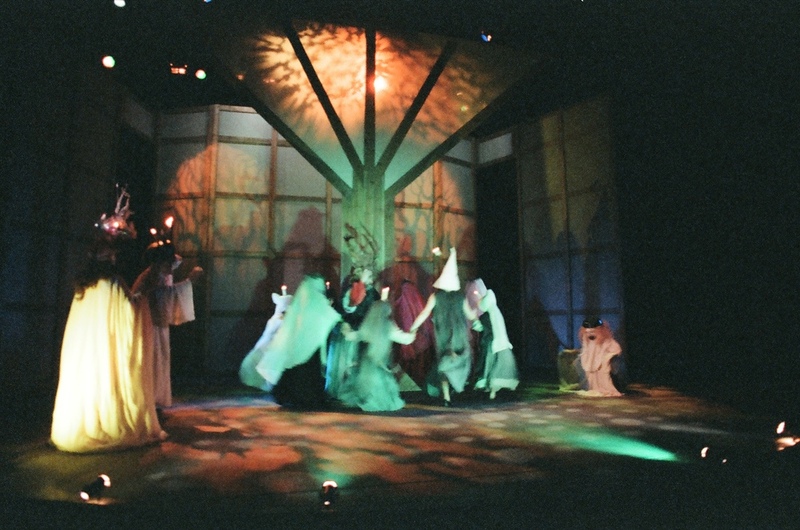 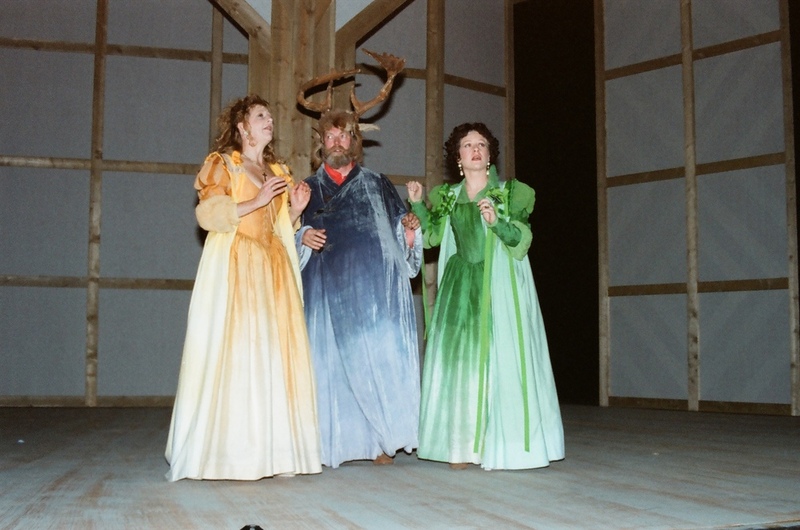 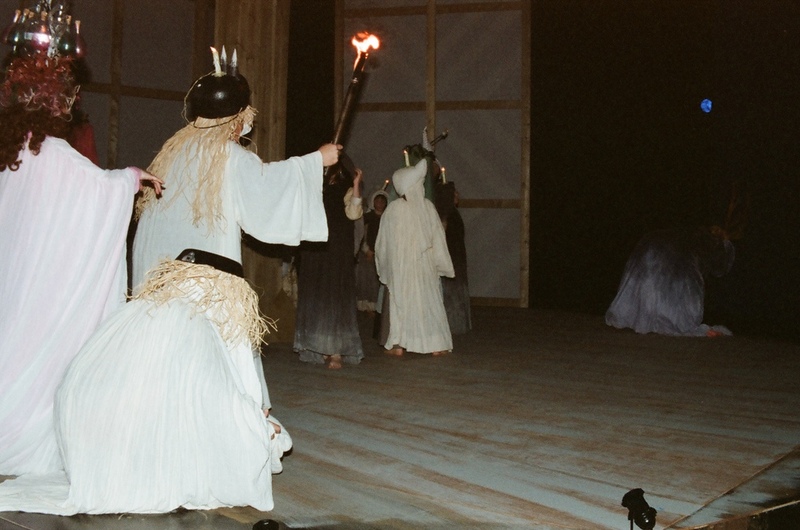 Lorna Harrington and Elaina Evans played the titular 'Wives' who turn the tables on Falstaff culminating in a spectacular rendition of the climactic forest scene complete with a wonderfully illuminated Tudor 'tree' onstage.